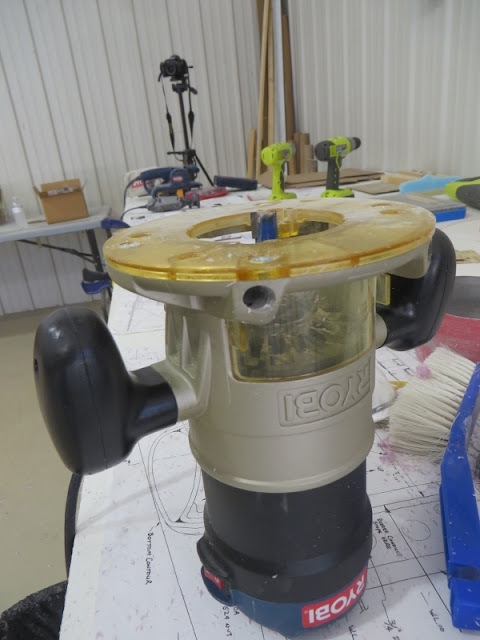 First of all, I wanted the longerons to be flush with the rollover assembly. 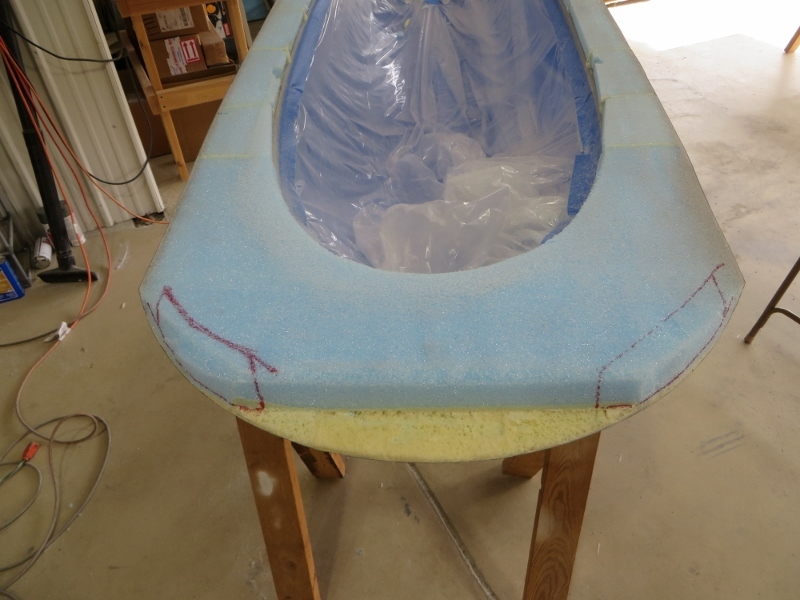 After cure, I sanded them down flush with the top surface of the rollover assembly. 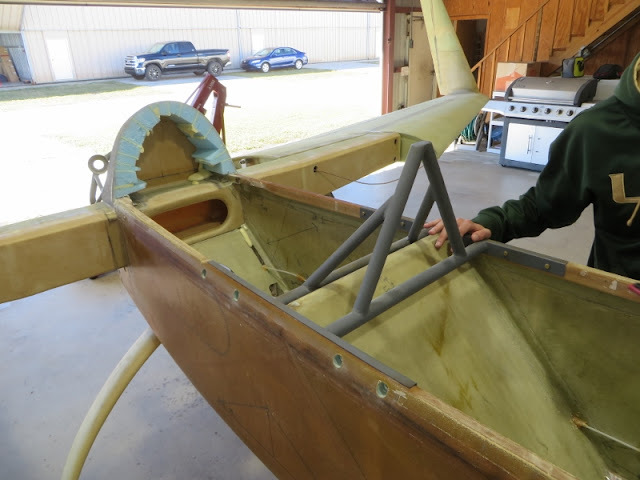 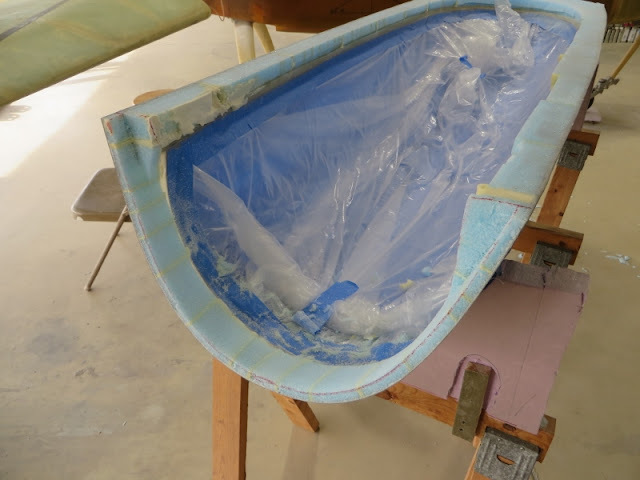 With the longerons now completely flush and level, I focused my attention to sanding the bottom surface of the canopy frame. 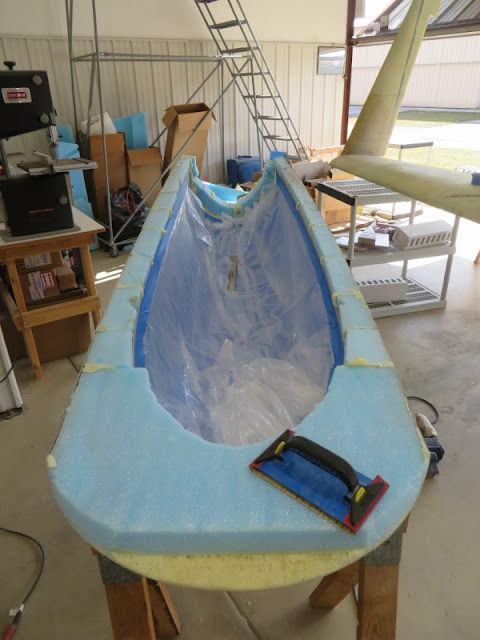 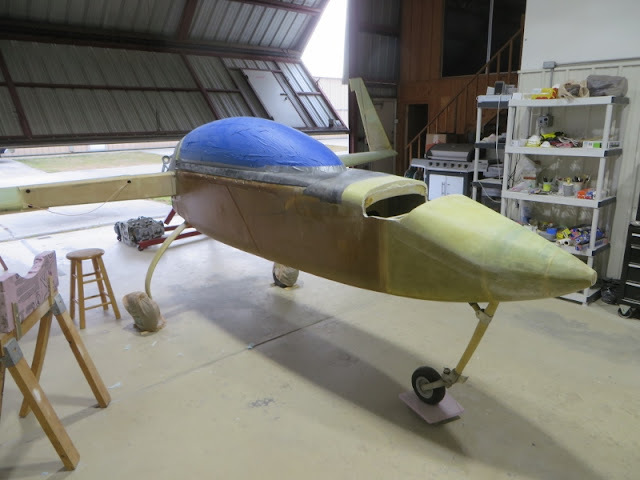 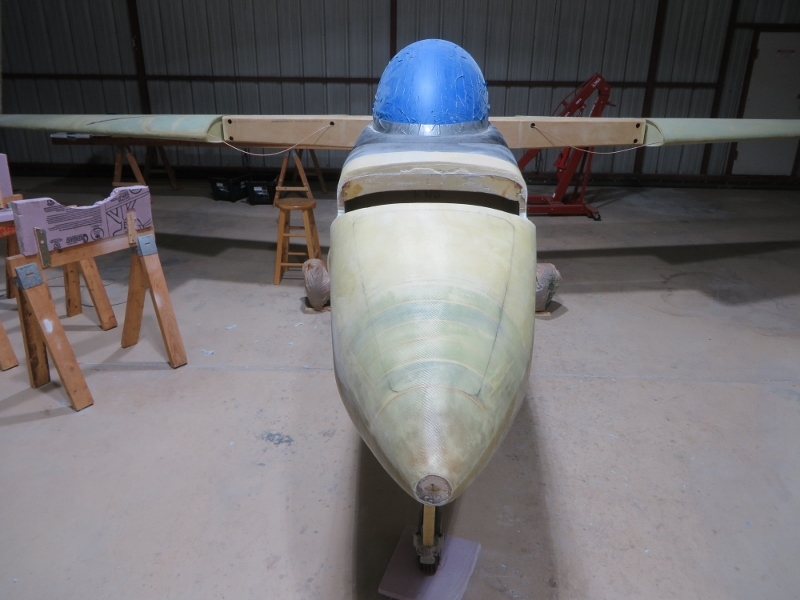 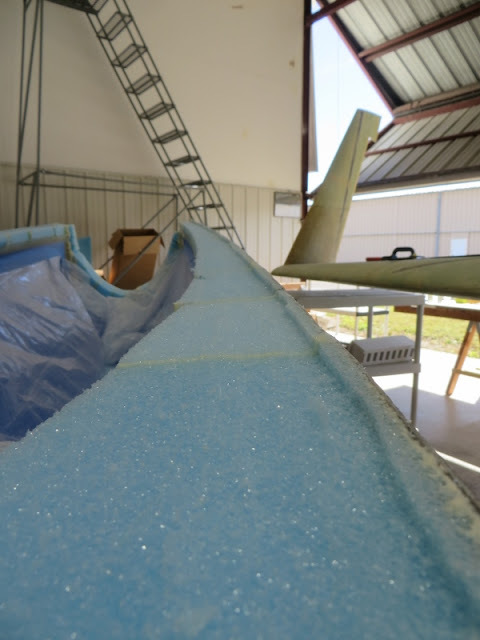 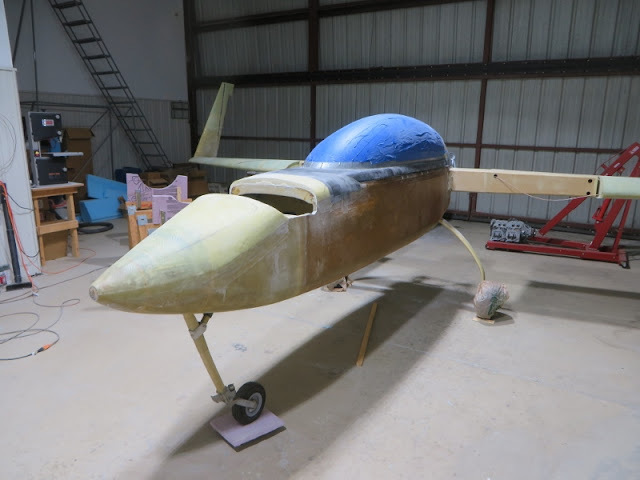 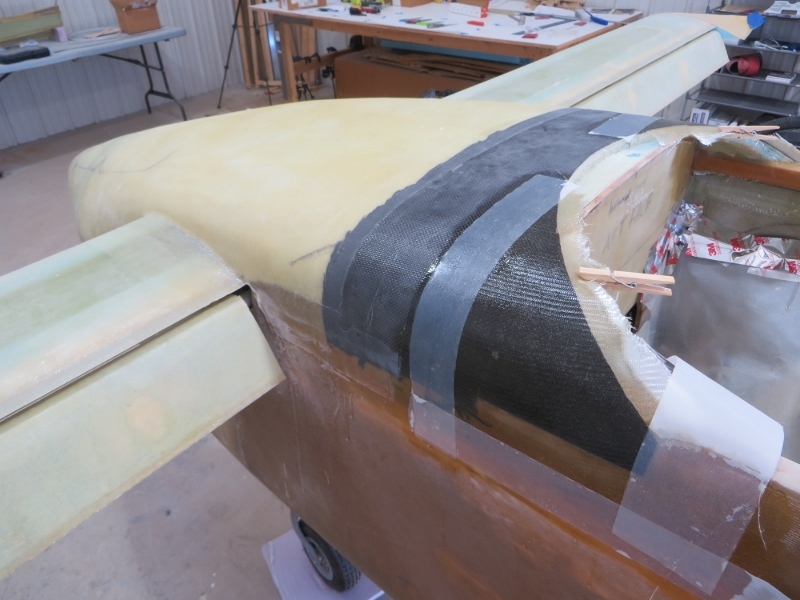 I then dry fitted the canopy onto the fuselage - the top skin of the canopy now sat about 0.1" high - which made perfect sense since I had added about 1/8" of flox to the top longerons. ...for a perfectly flush bottom surface!! 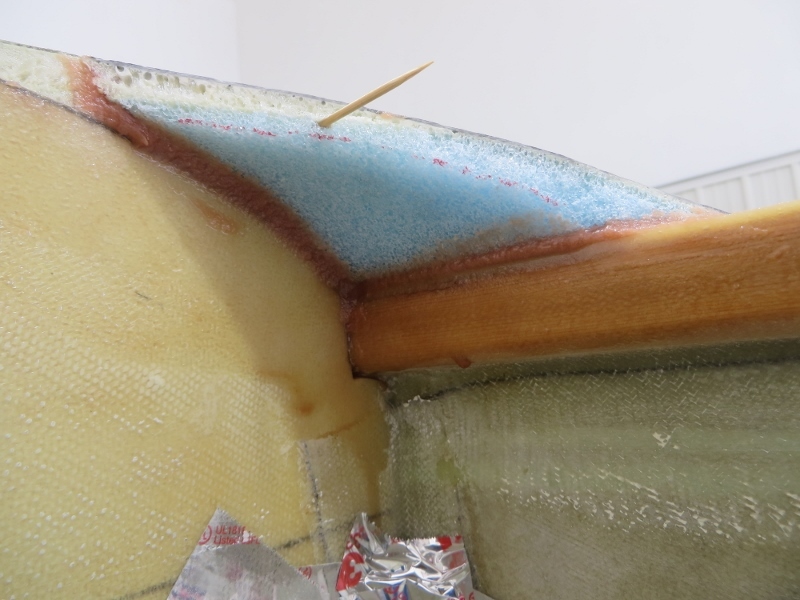 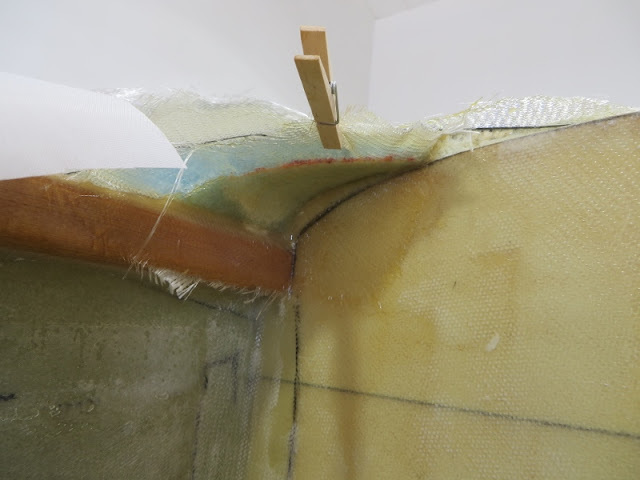 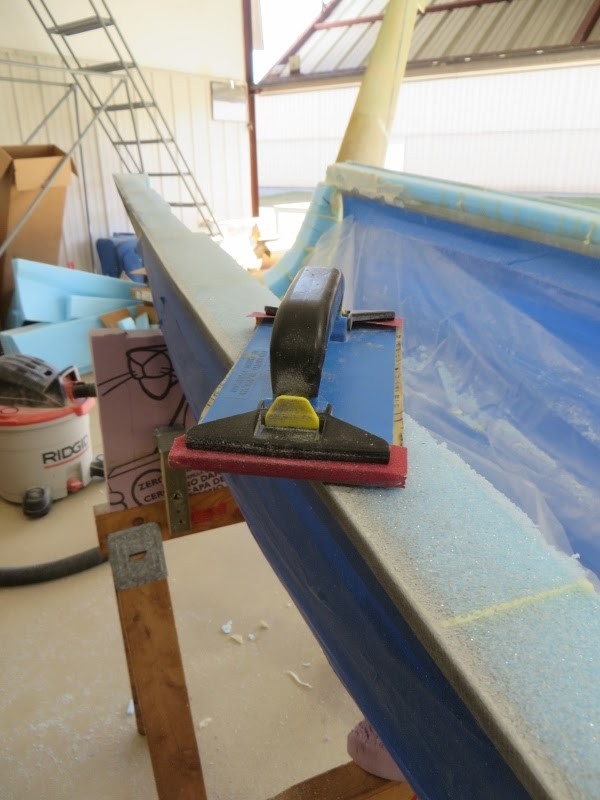 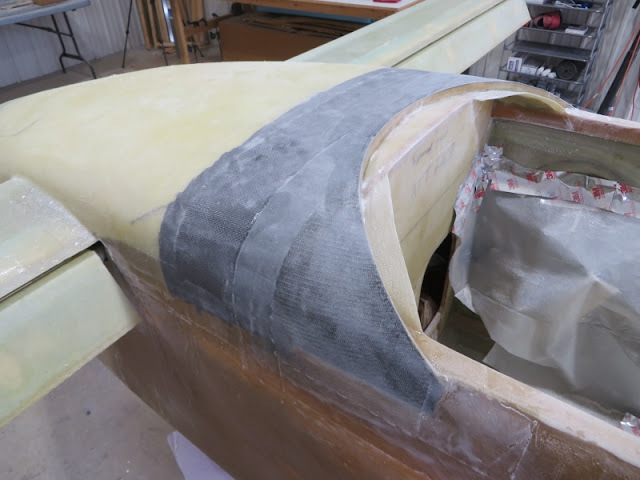 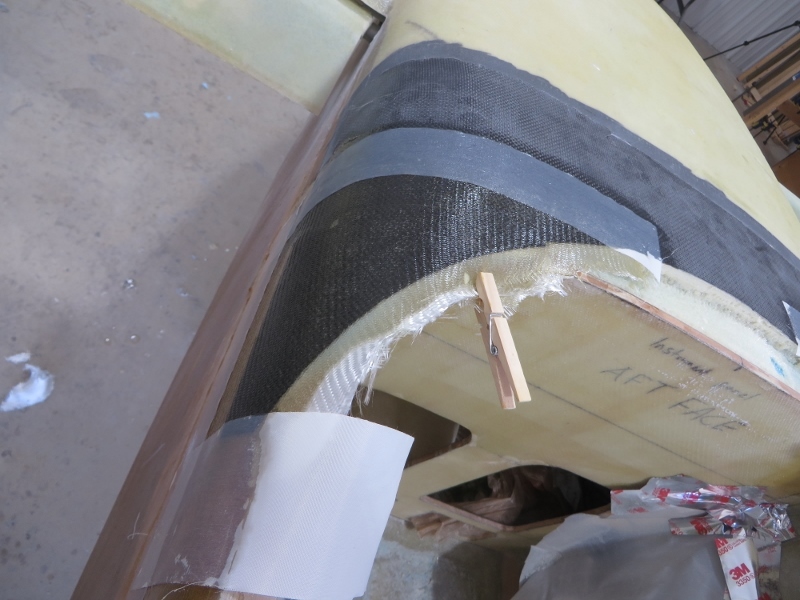 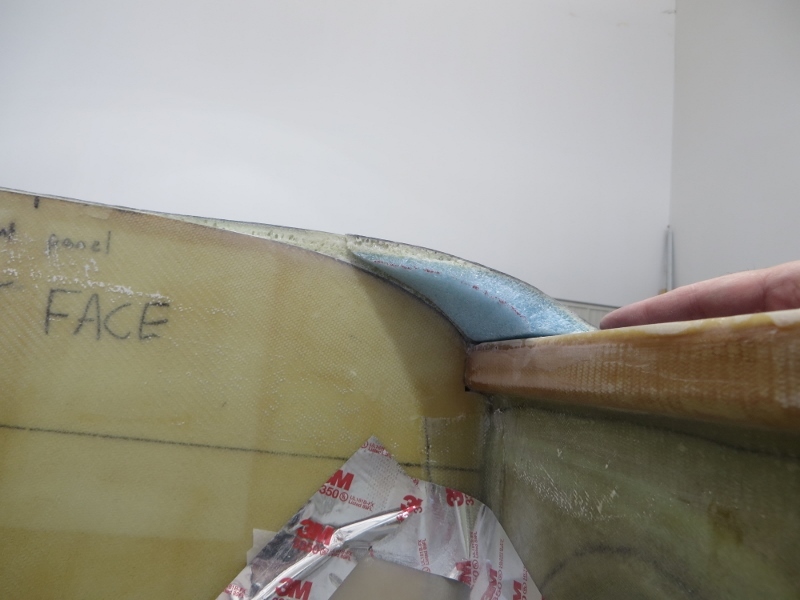 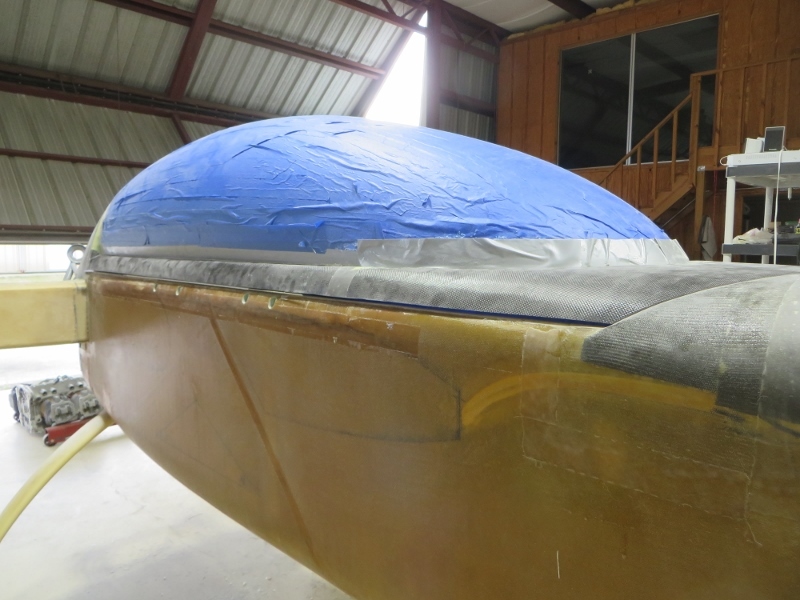 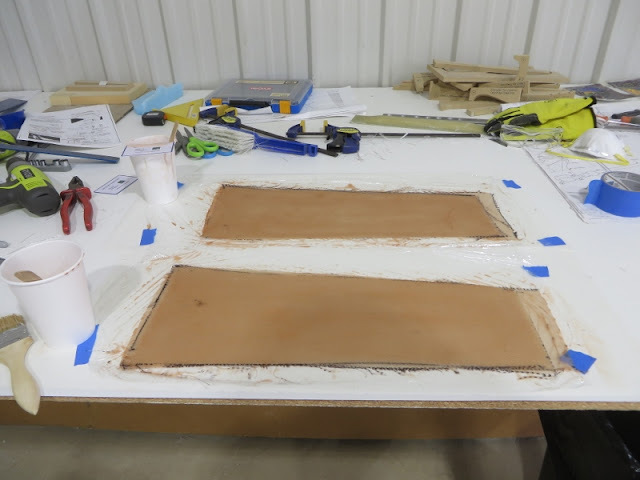 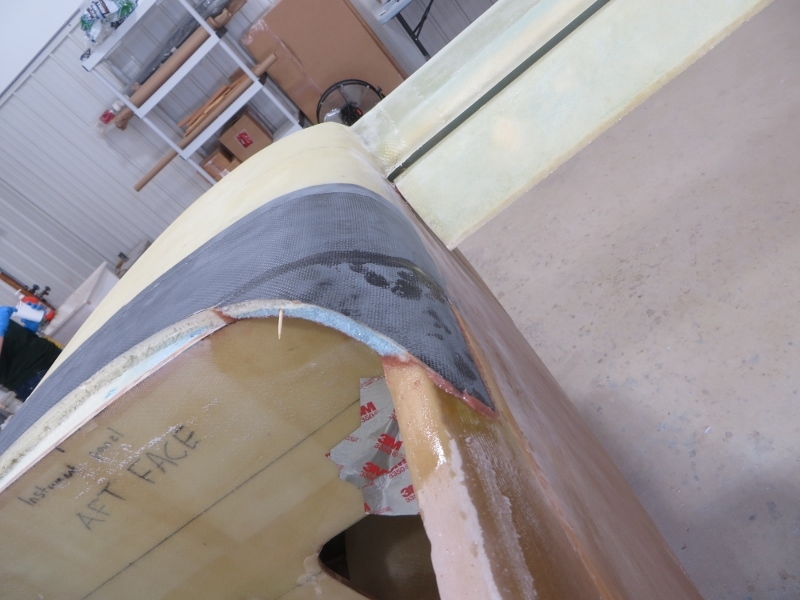 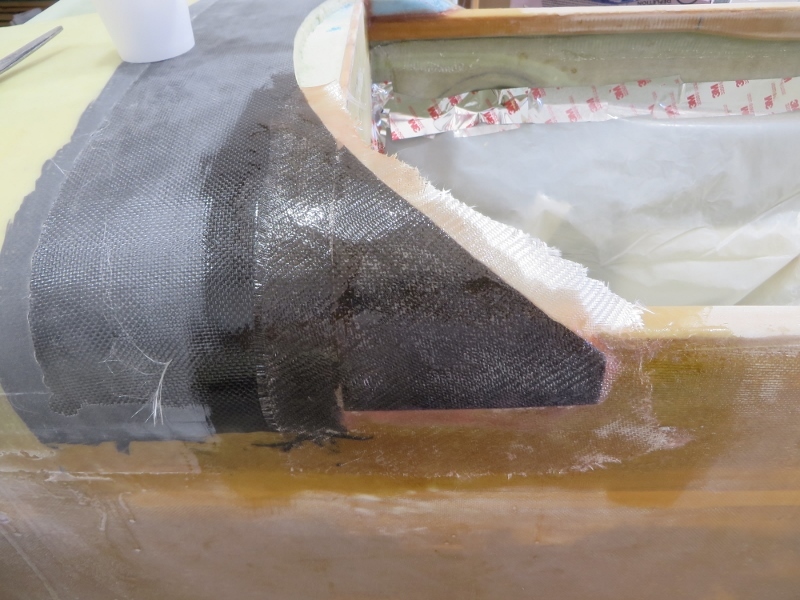 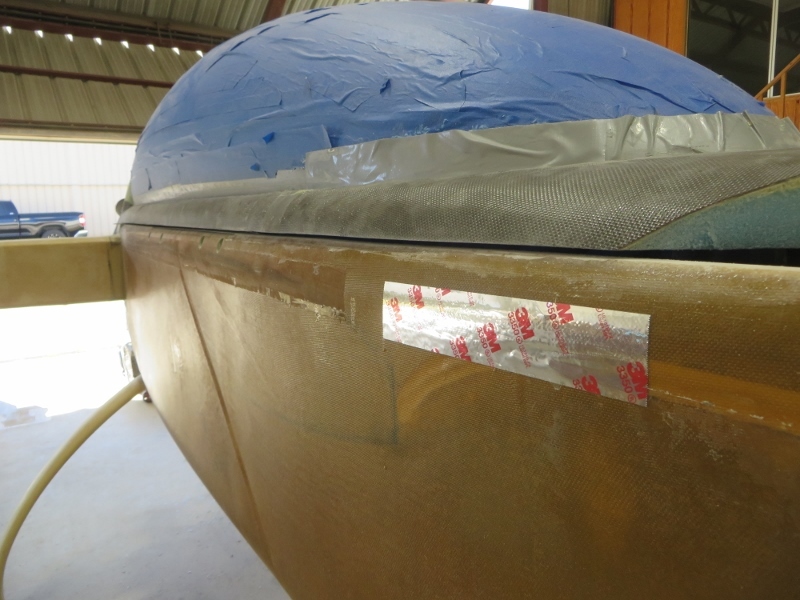 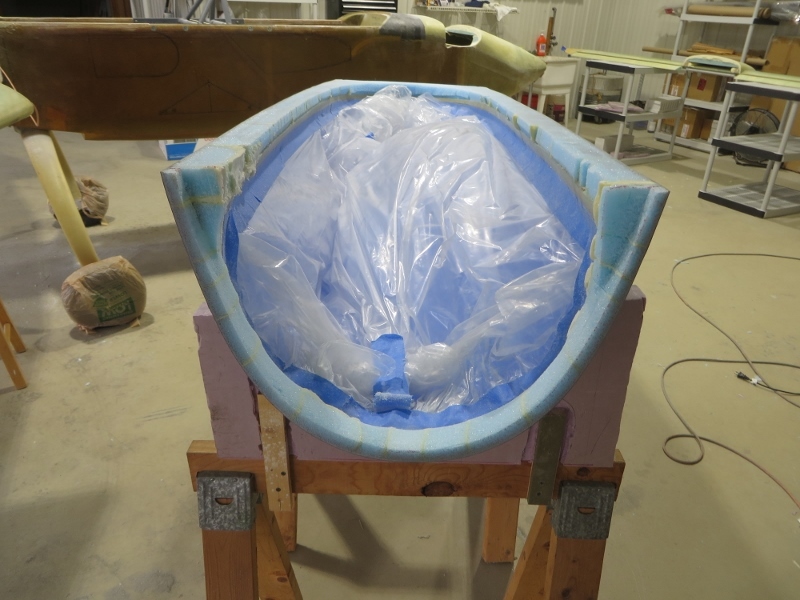 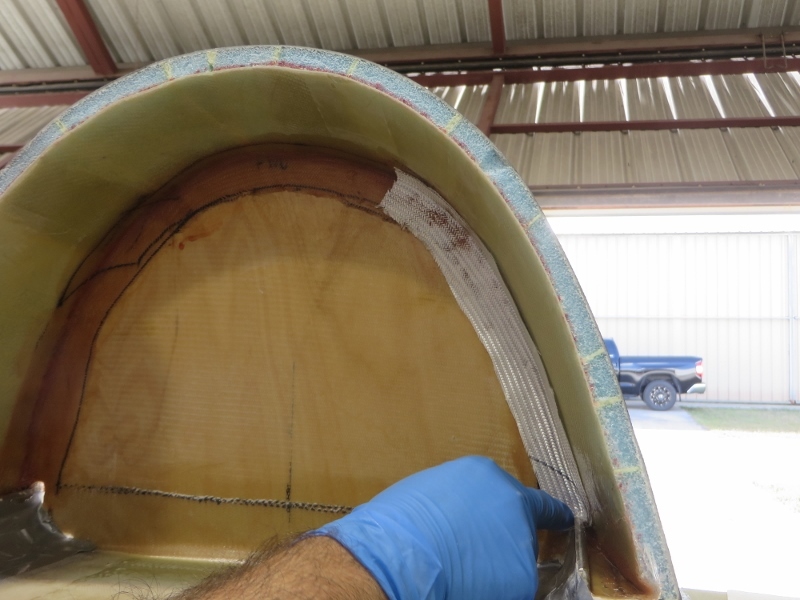 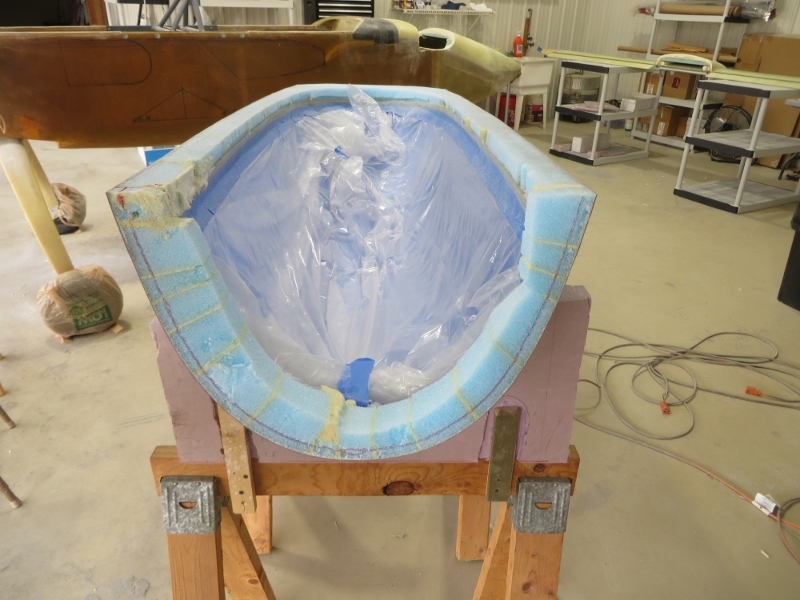 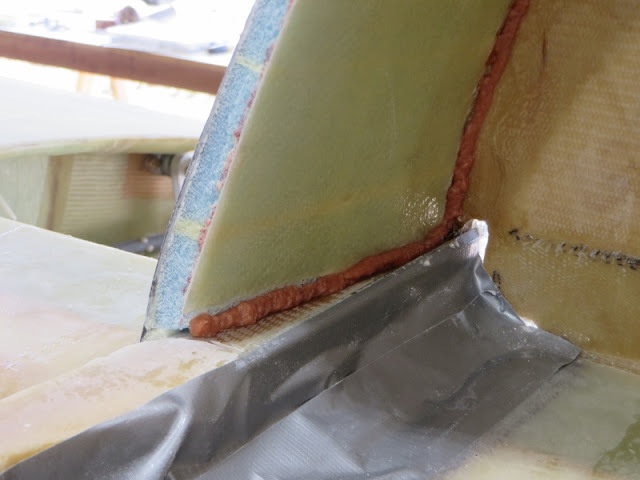 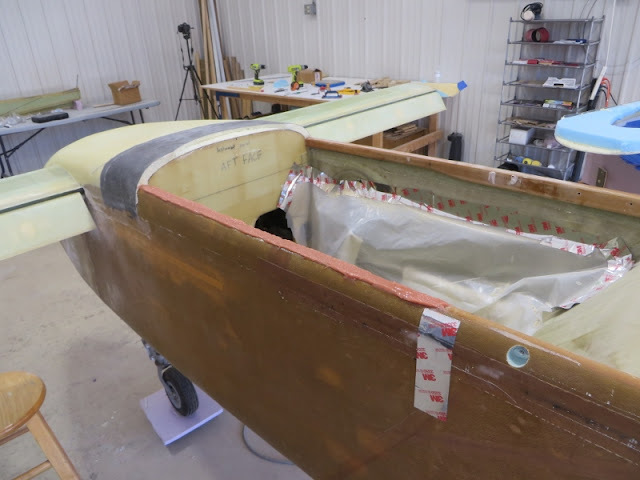 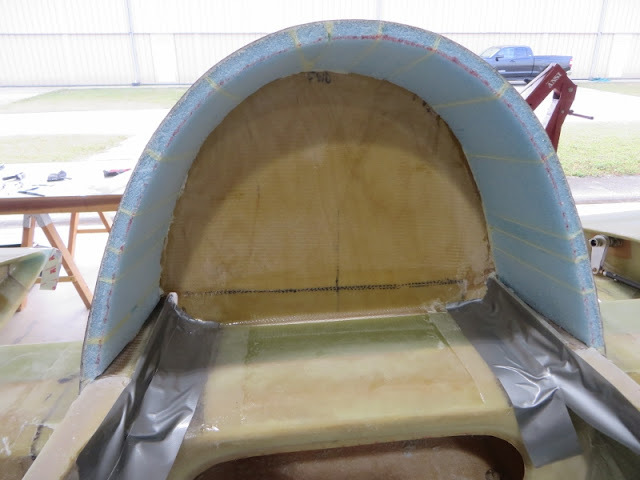 I then shimmed the aft end 0.1" (the gap I purposely calculated for a future weather seal).. and the top skin was perfectly flush with the top nook! 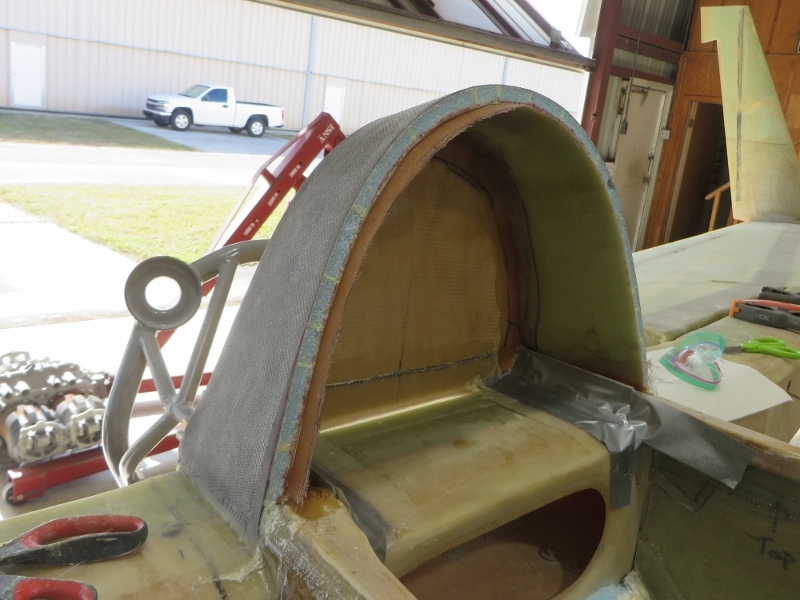 It was now time to focus on reinstalling the front corners near the instrument panel. 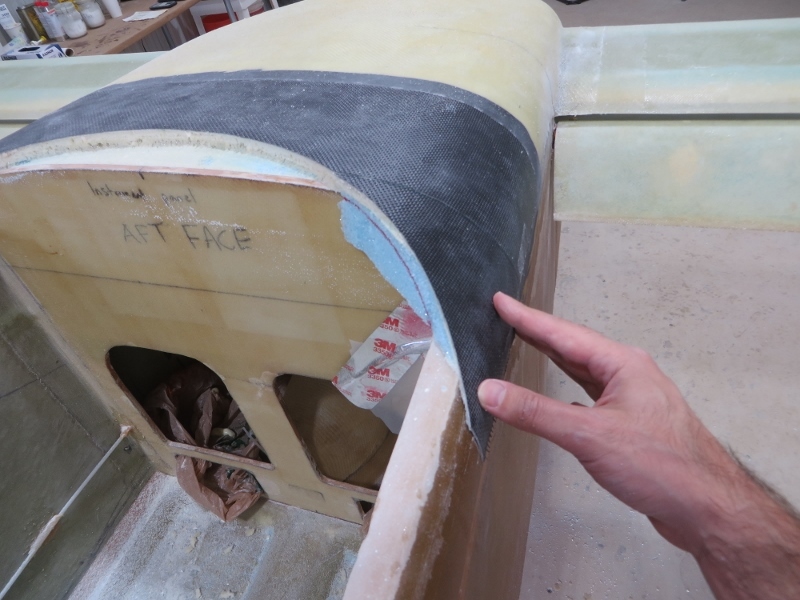 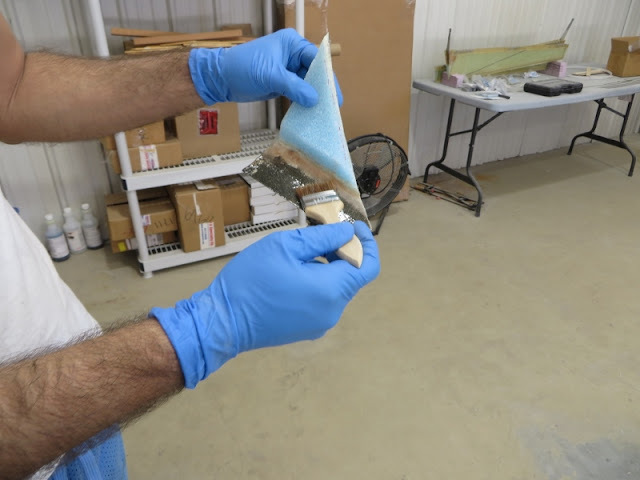 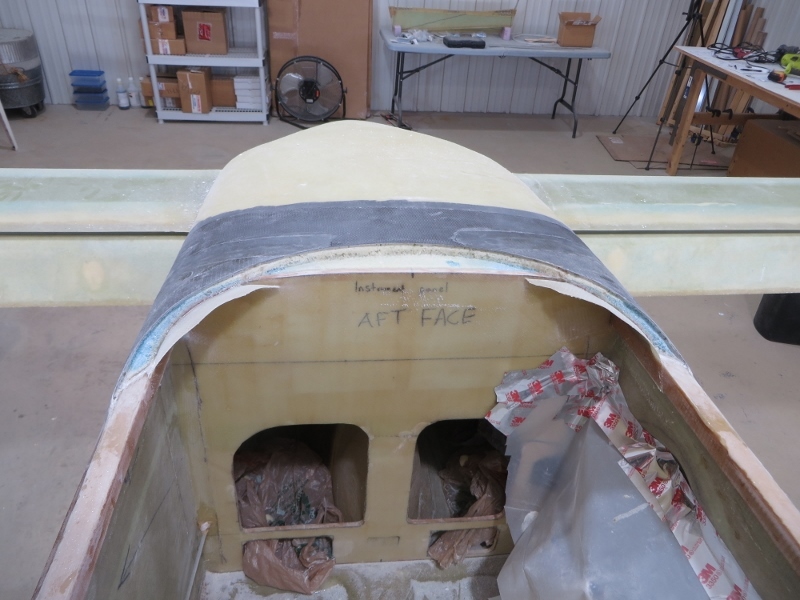 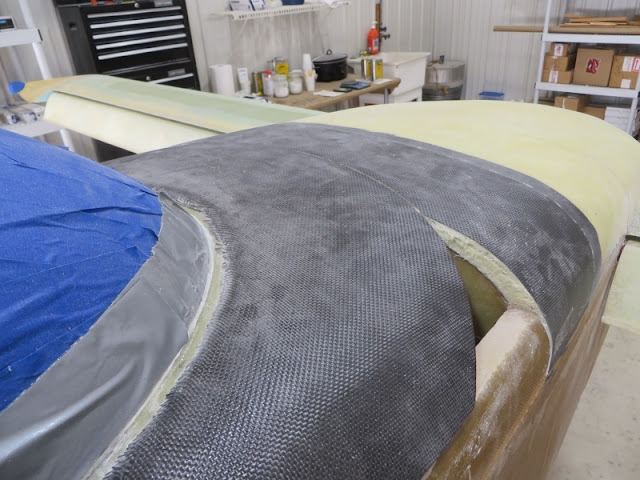 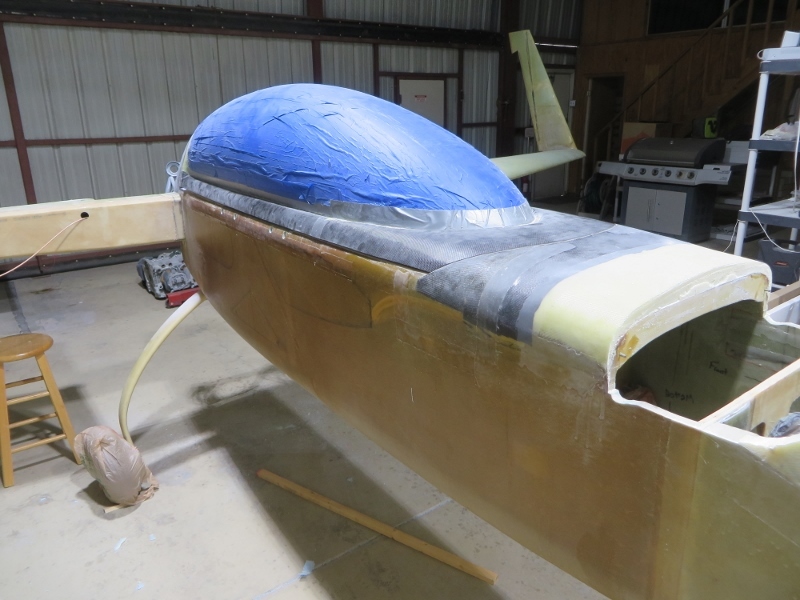 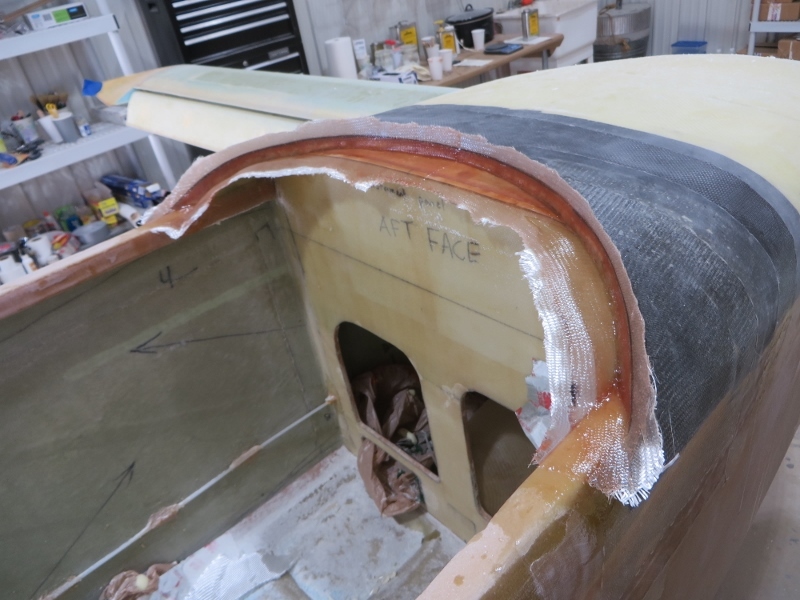 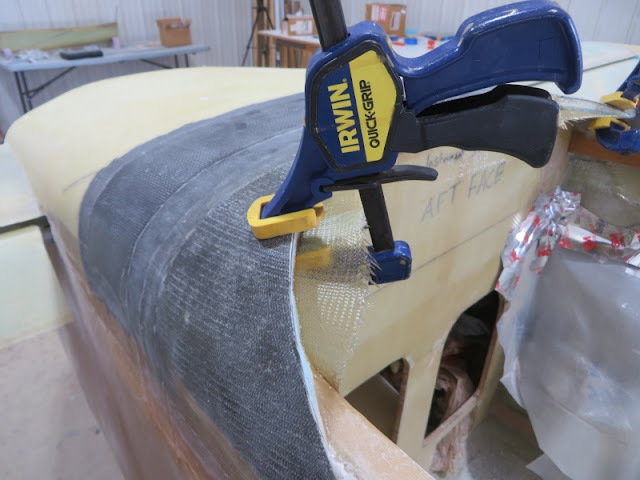 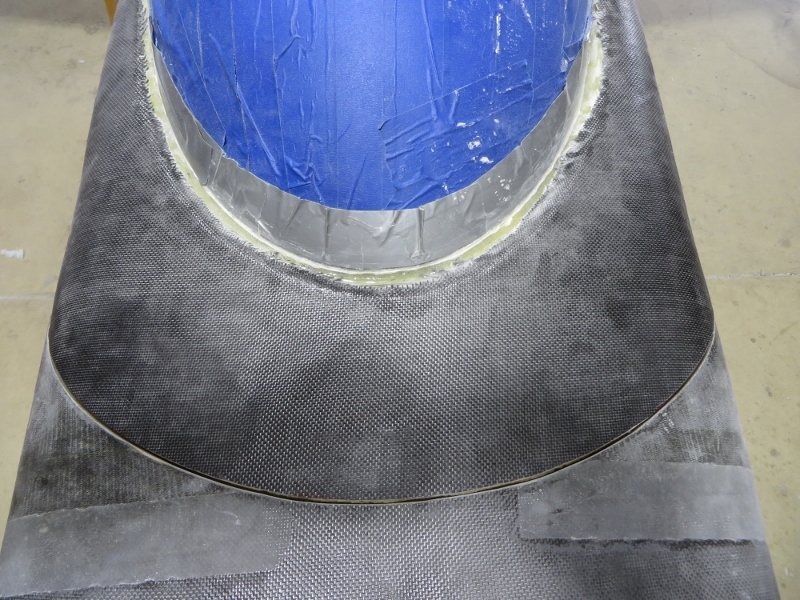 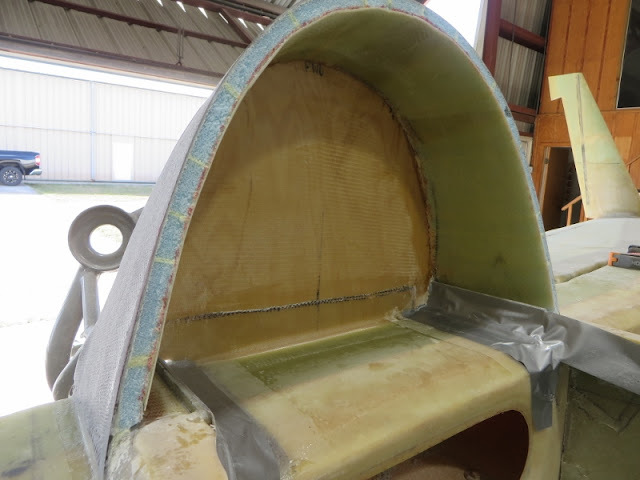 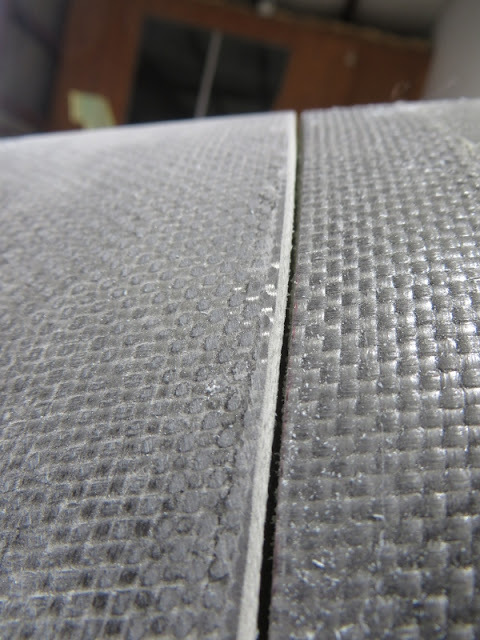 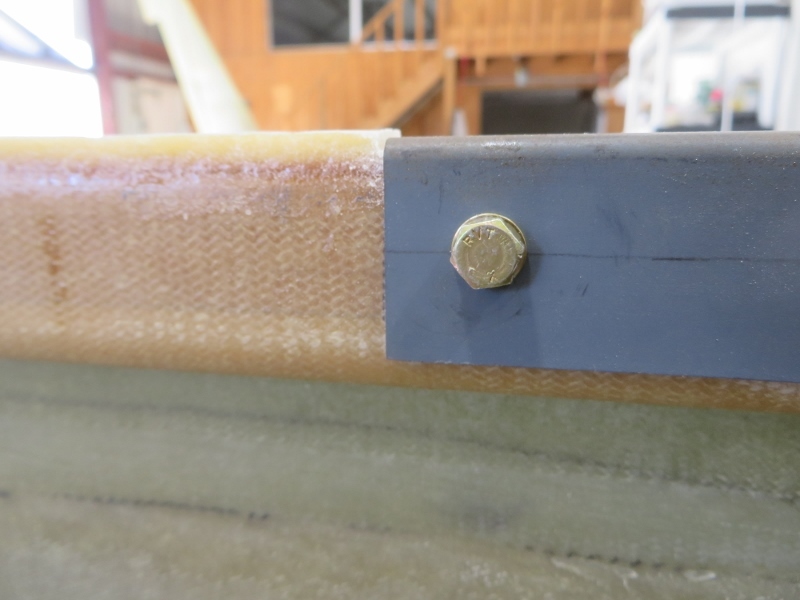 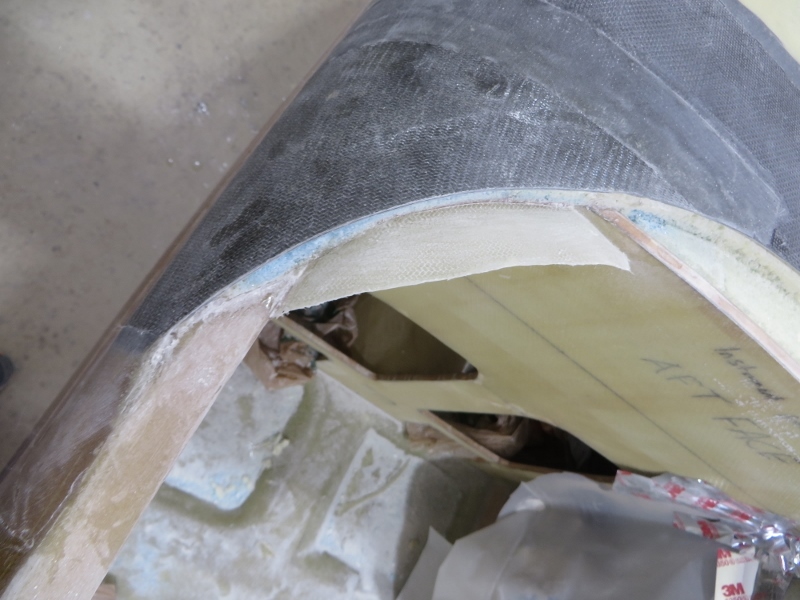 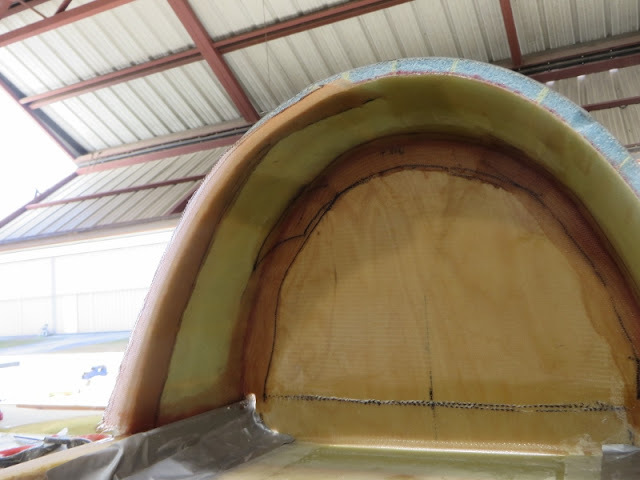 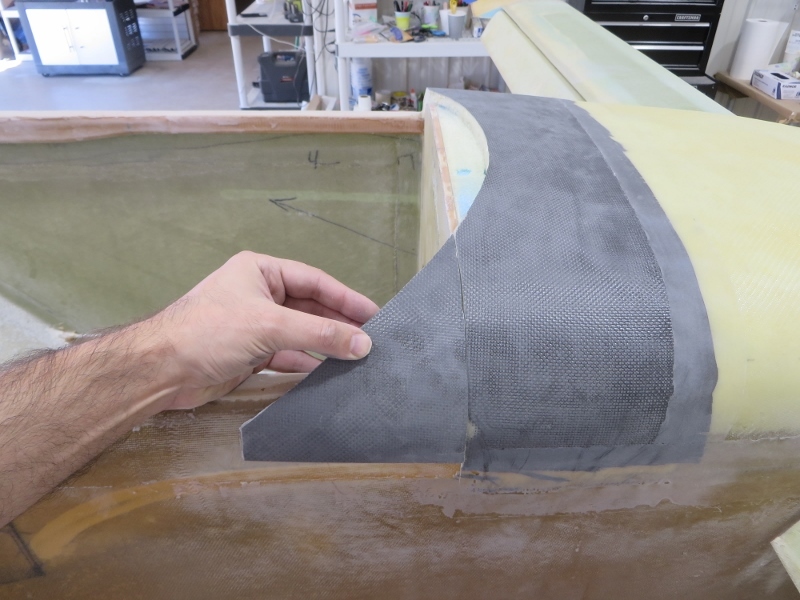 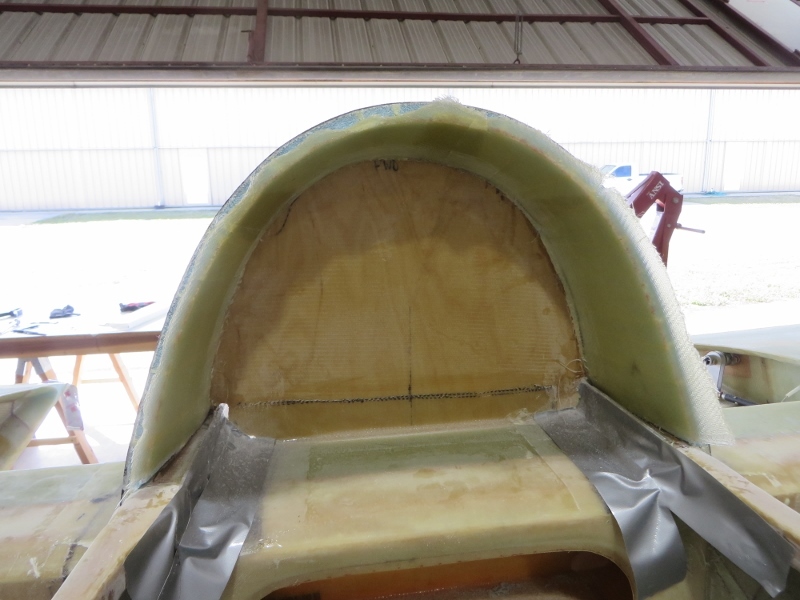 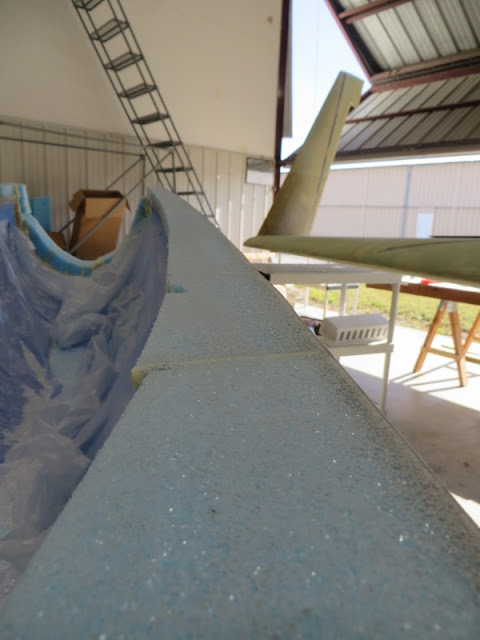 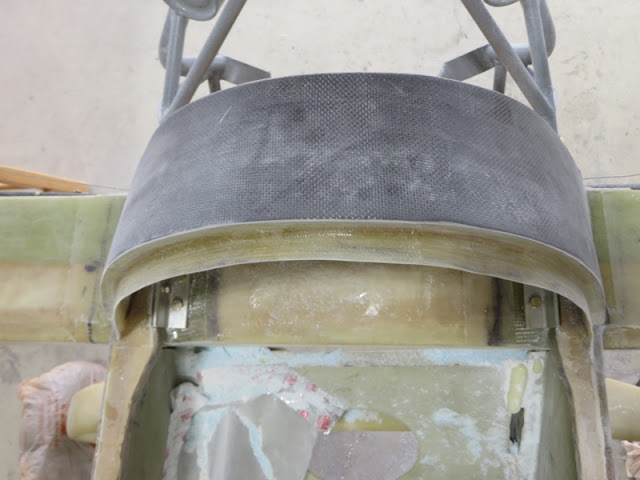 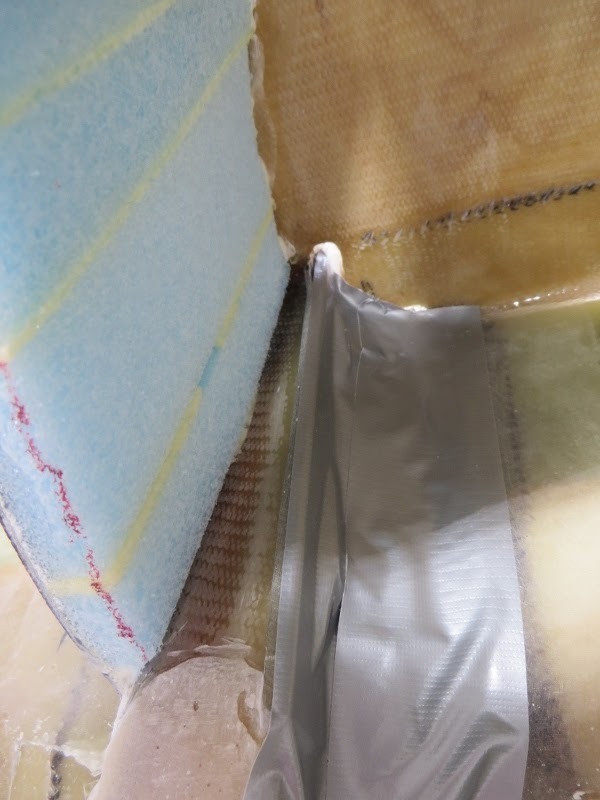 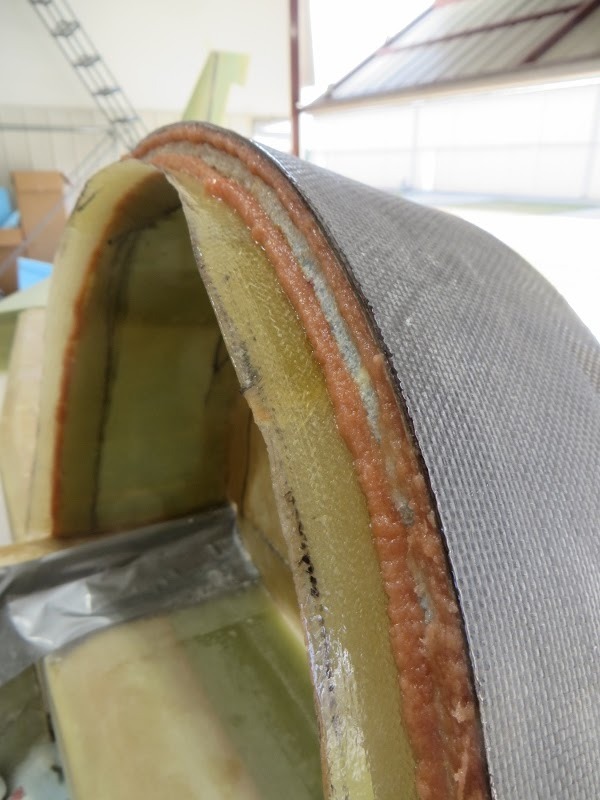 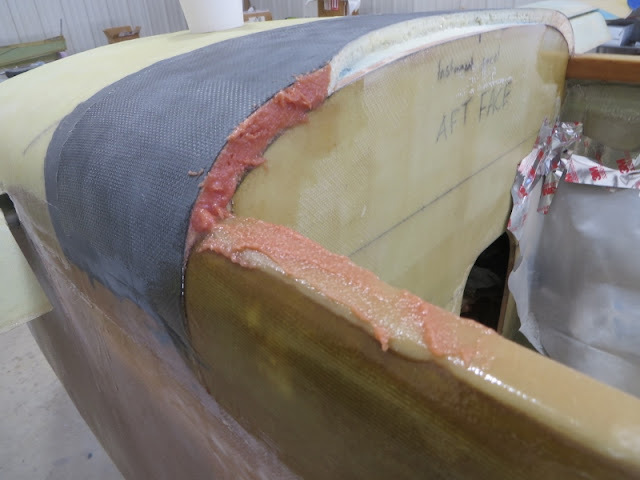 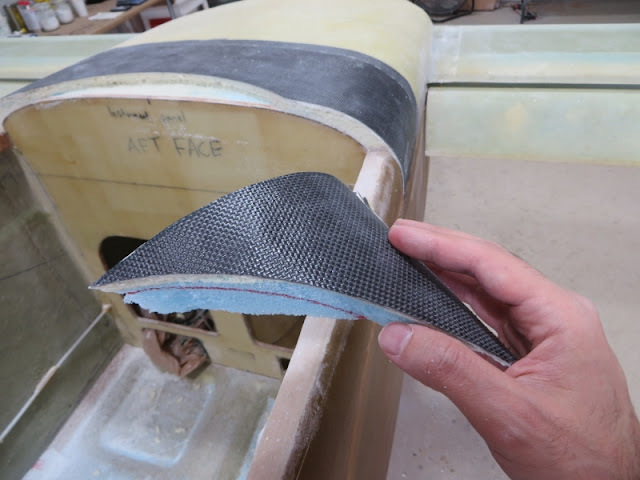 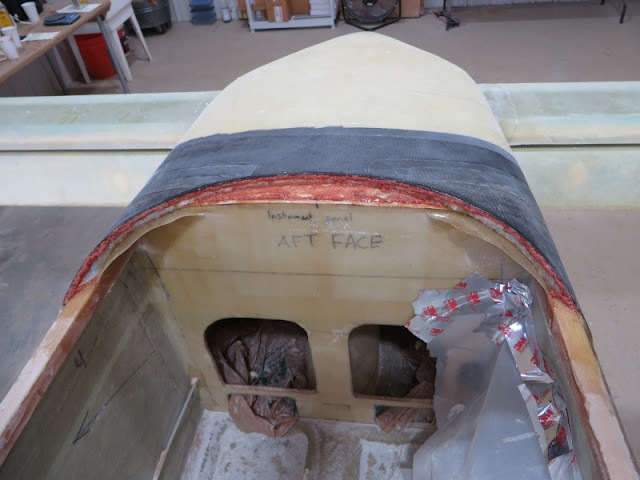 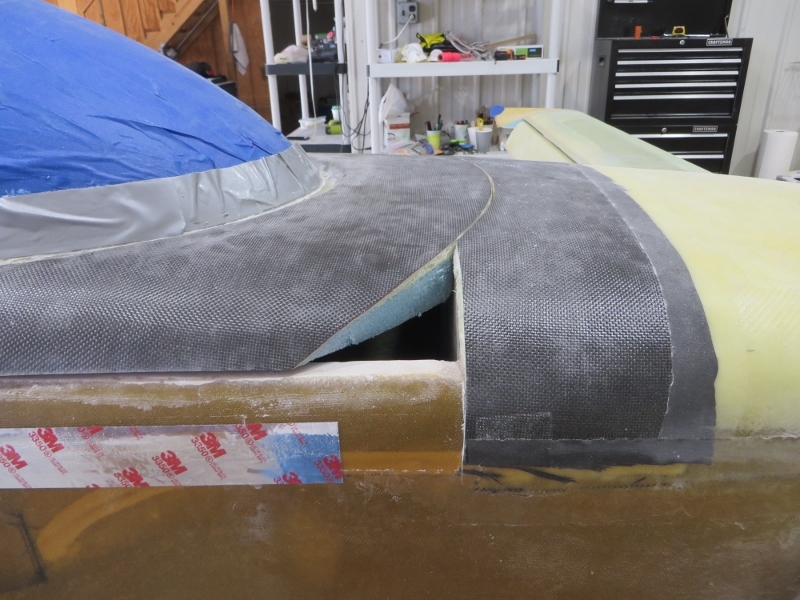 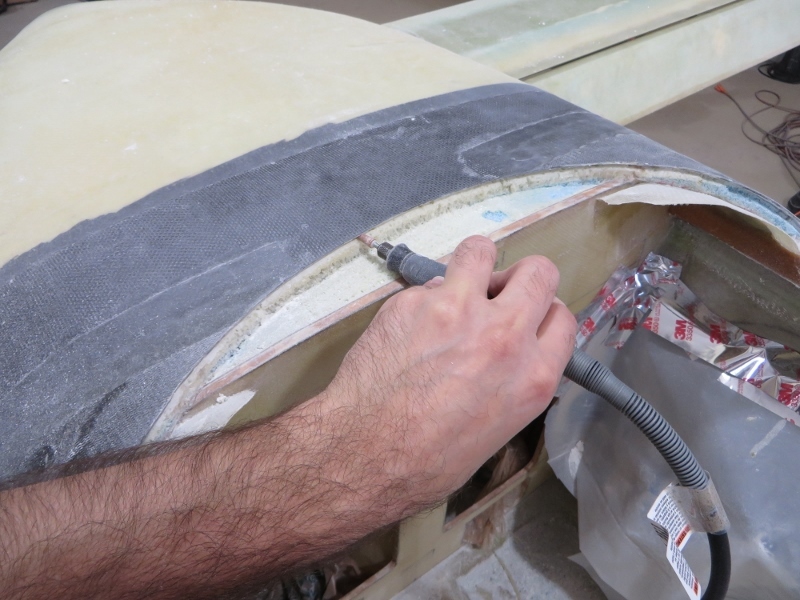 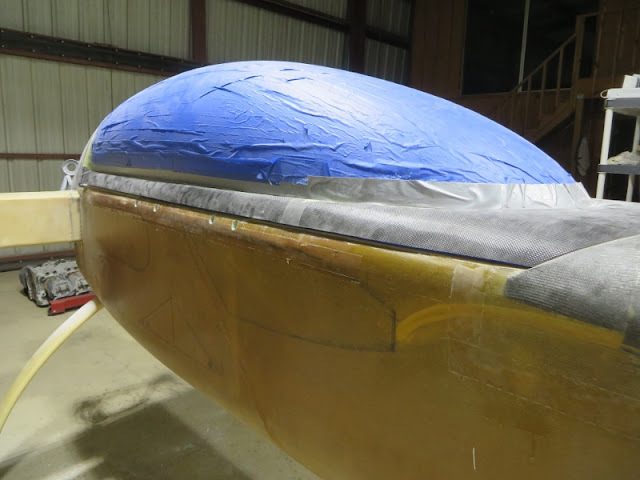 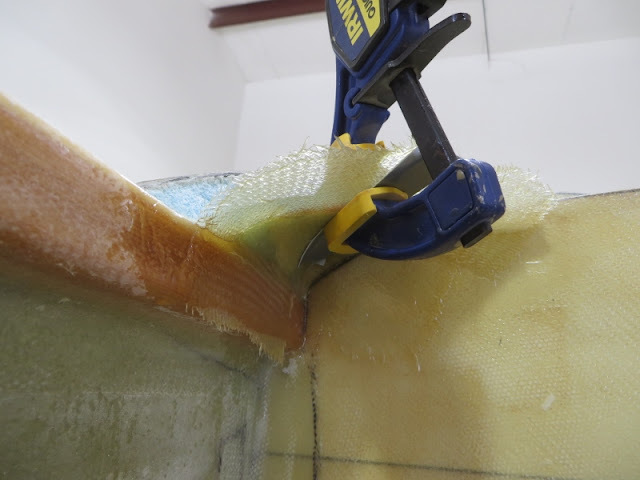 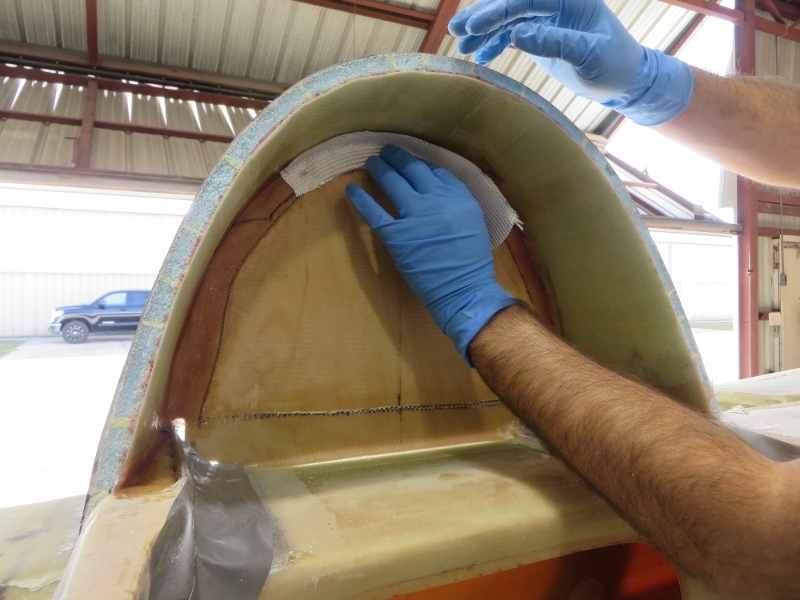 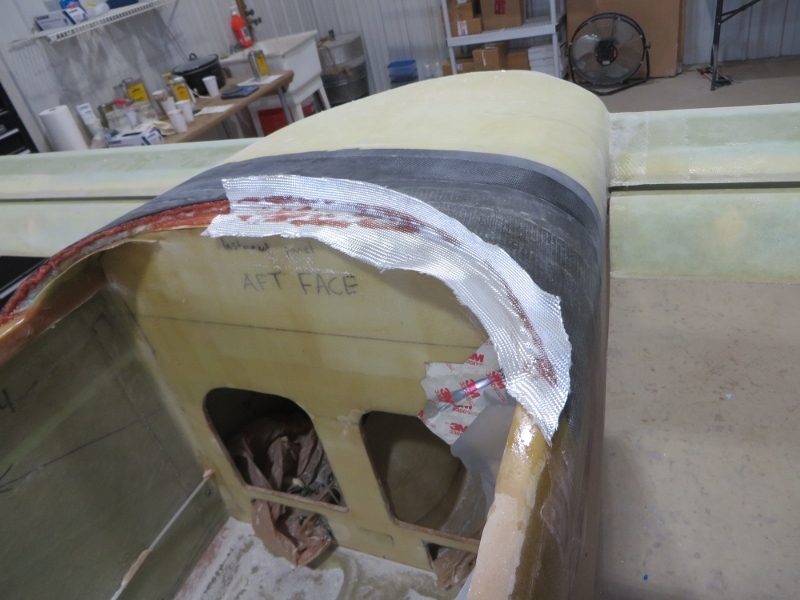 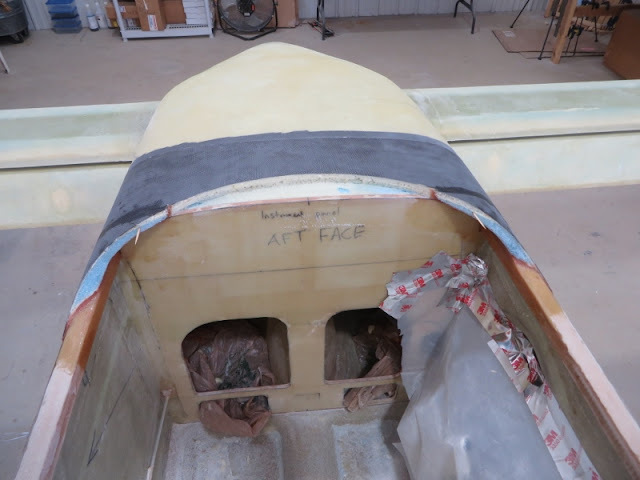 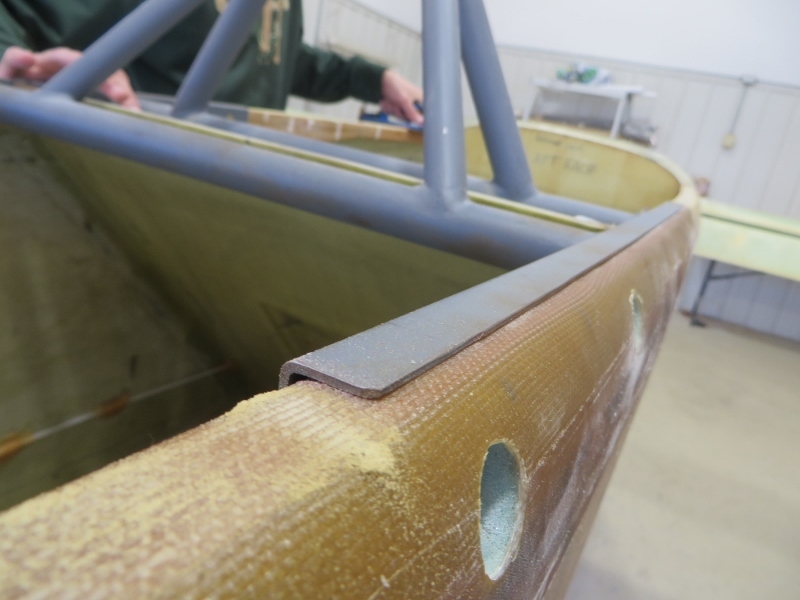 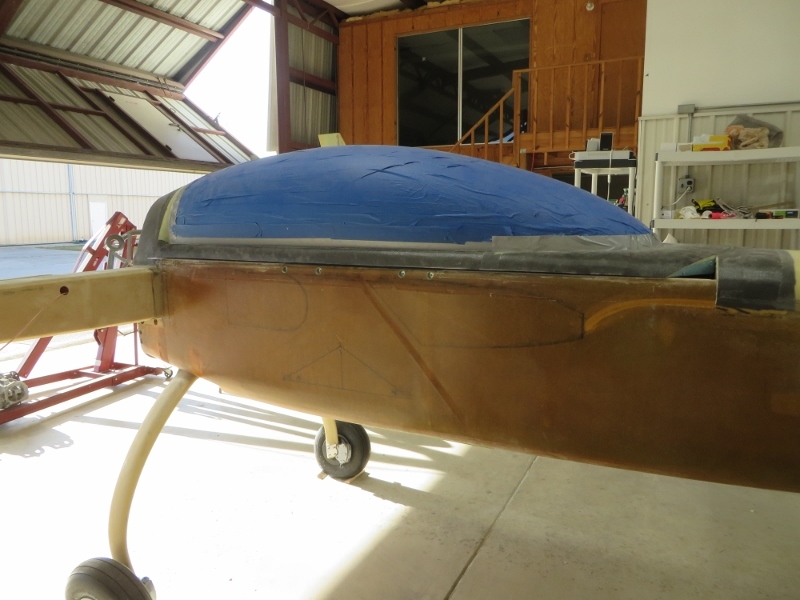 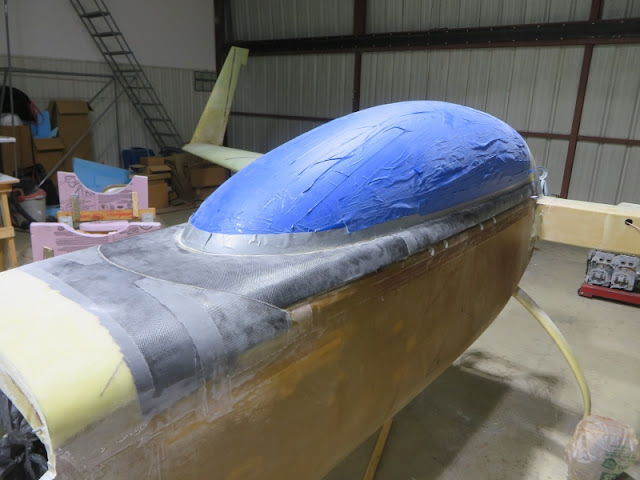 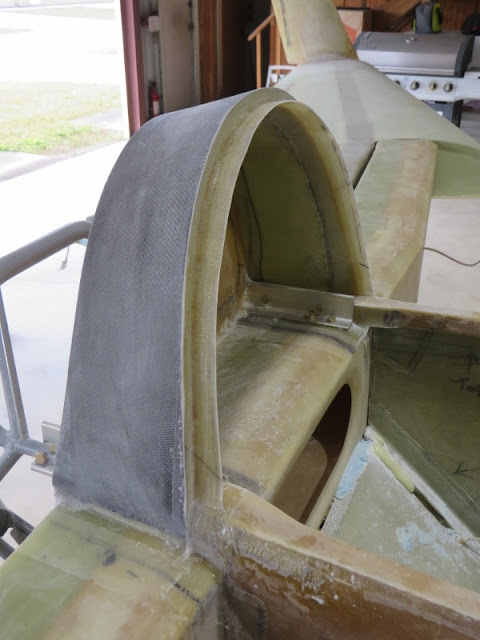 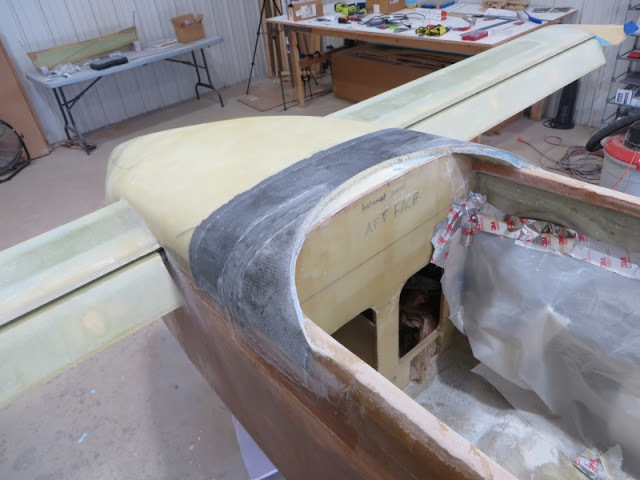 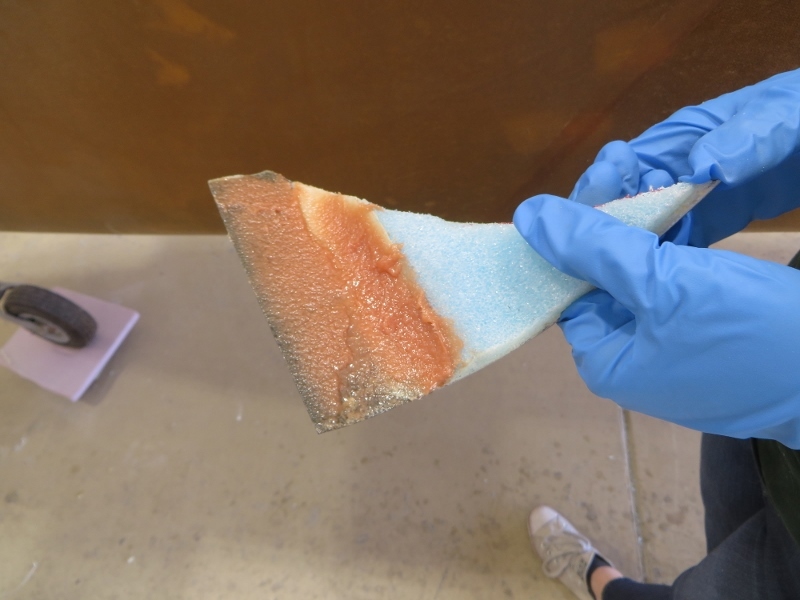 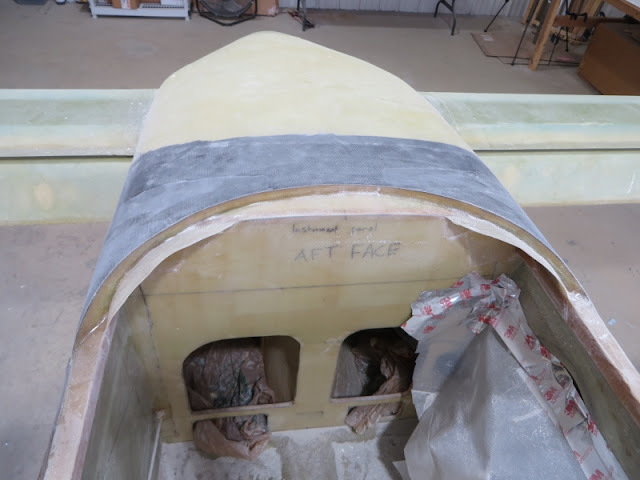 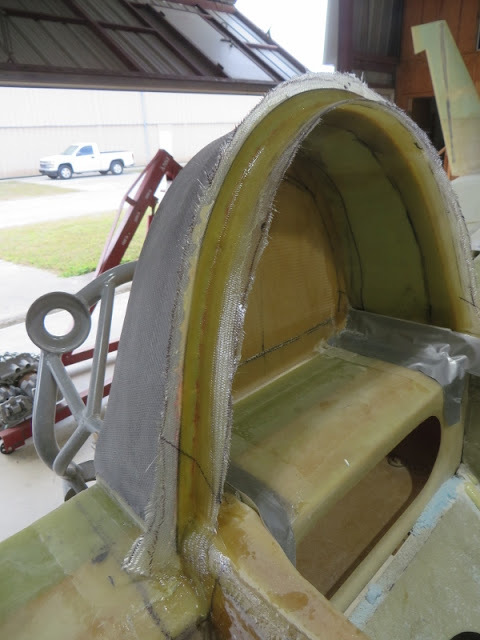 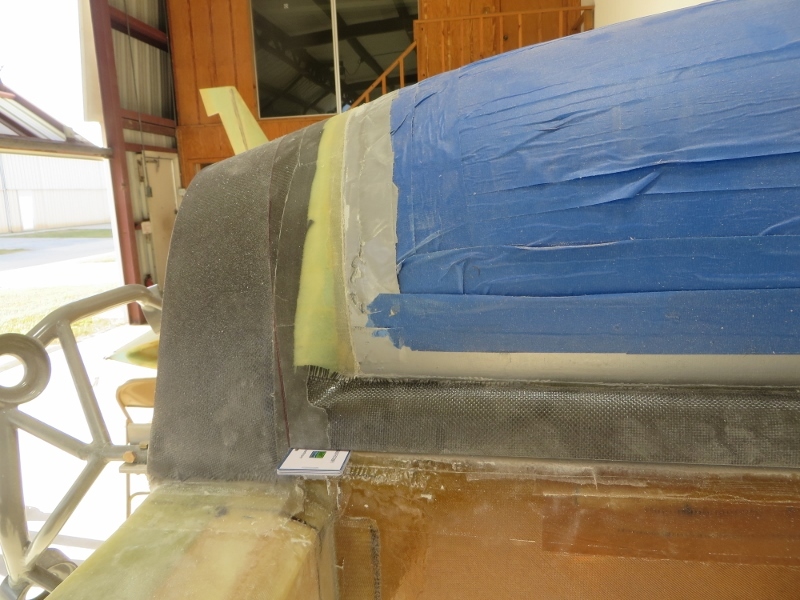 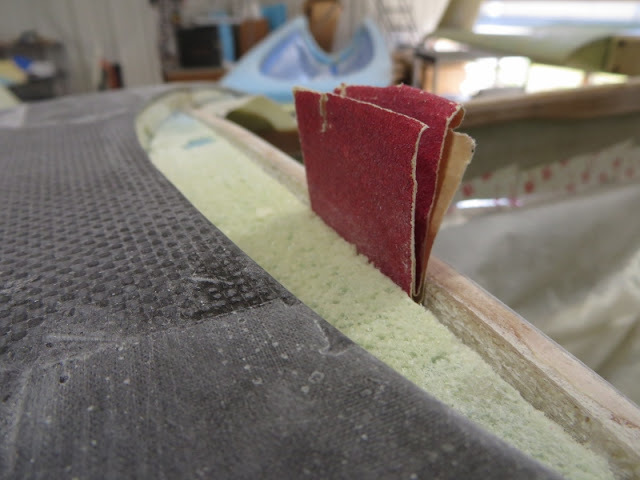 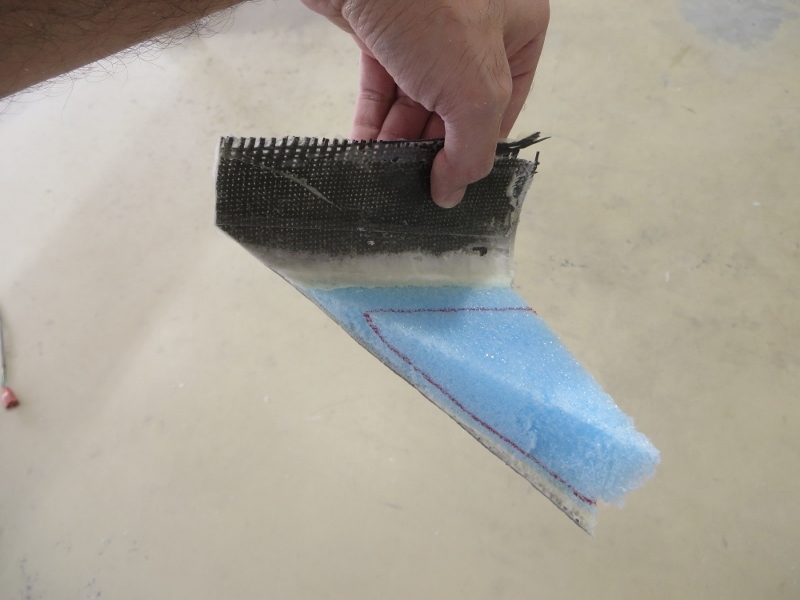 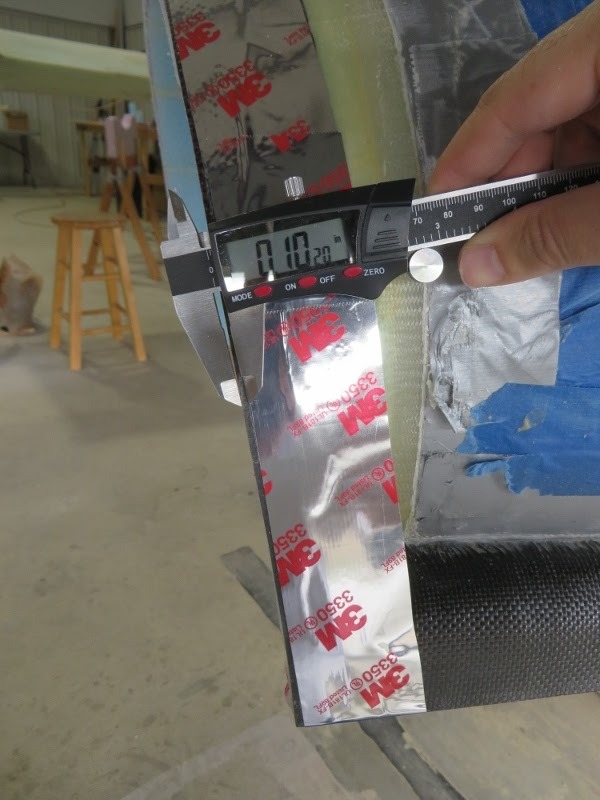 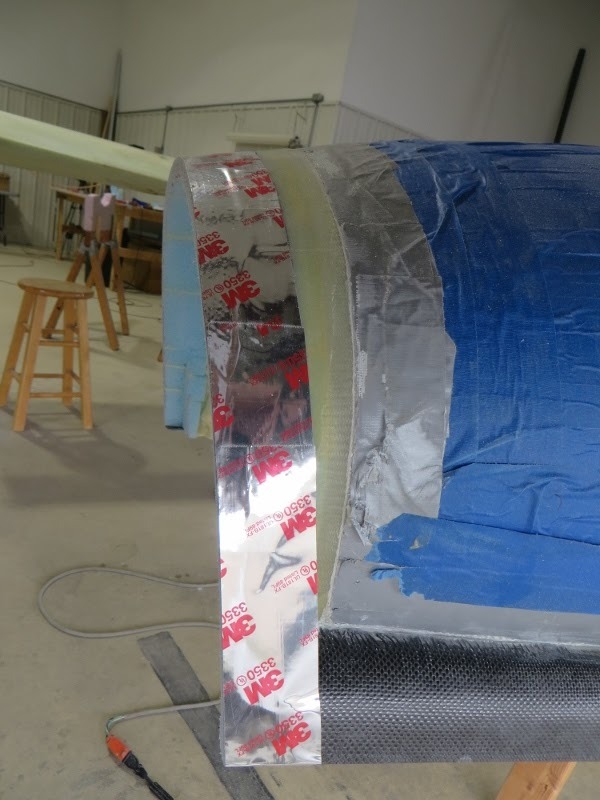 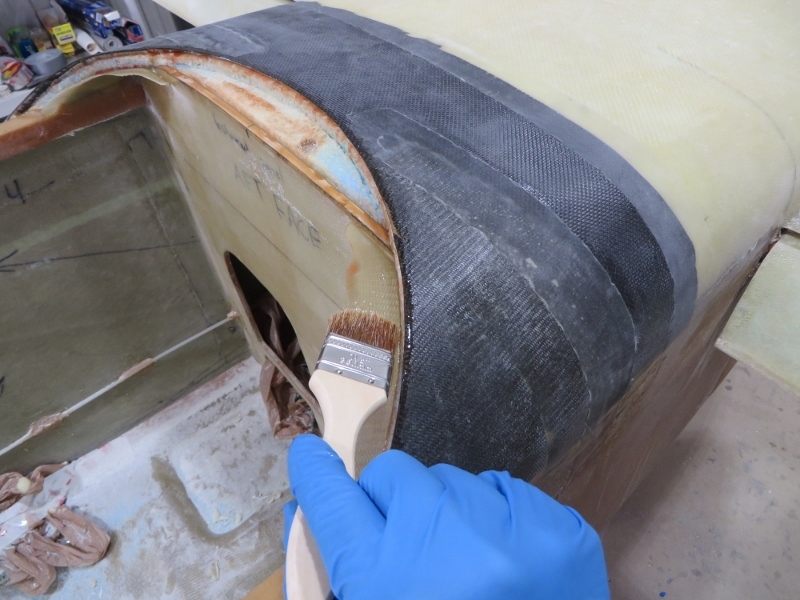 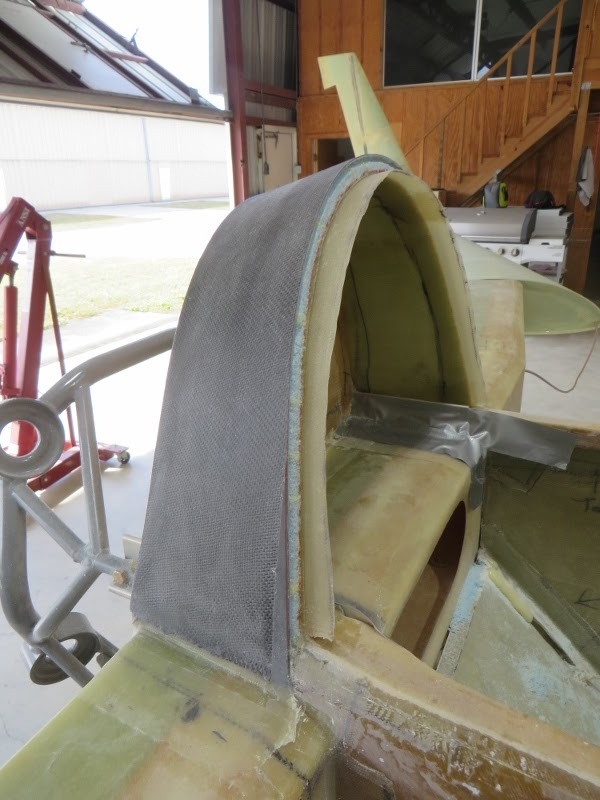 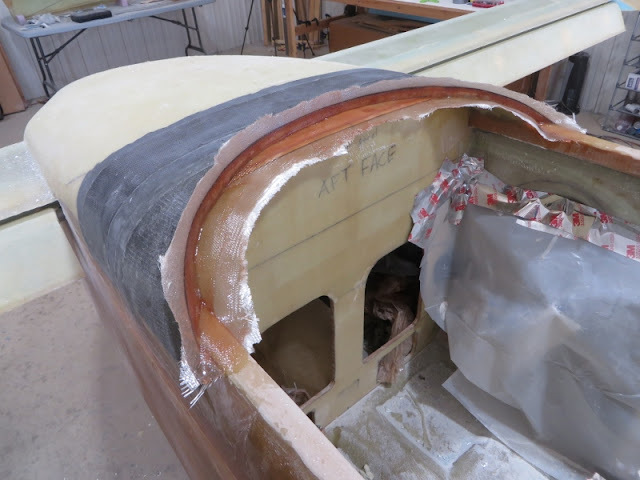 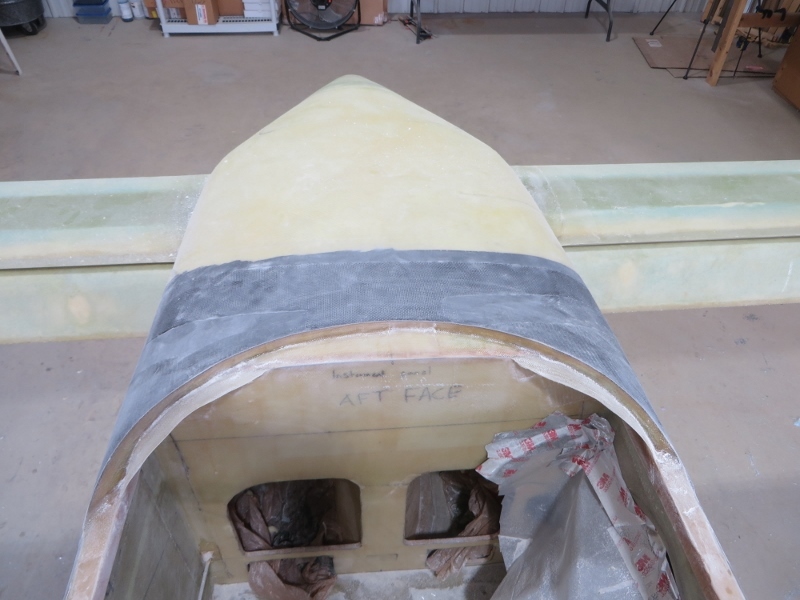 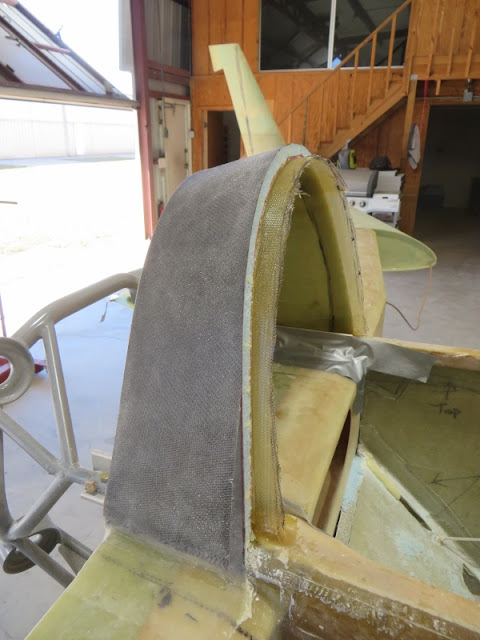 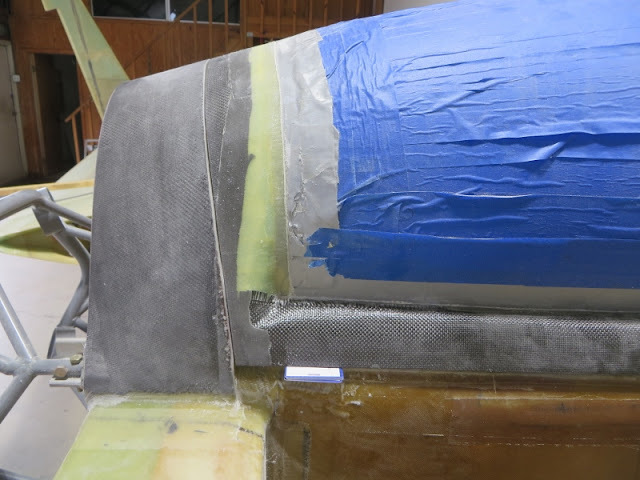 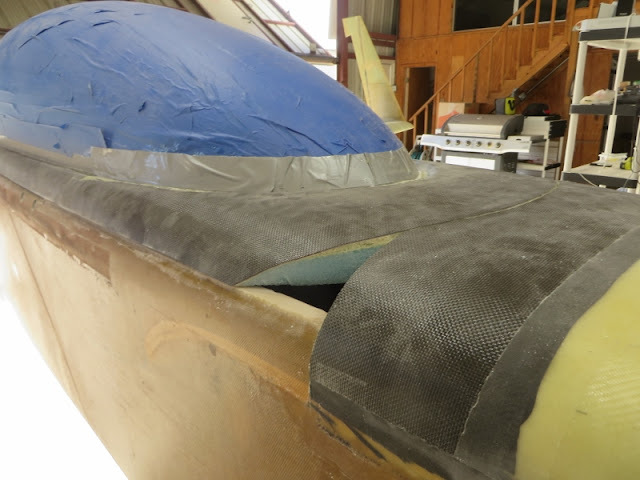 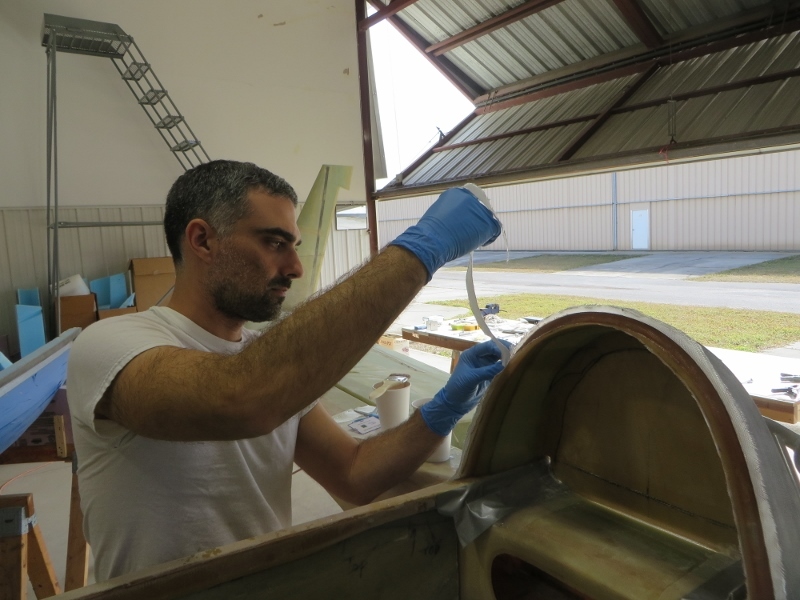 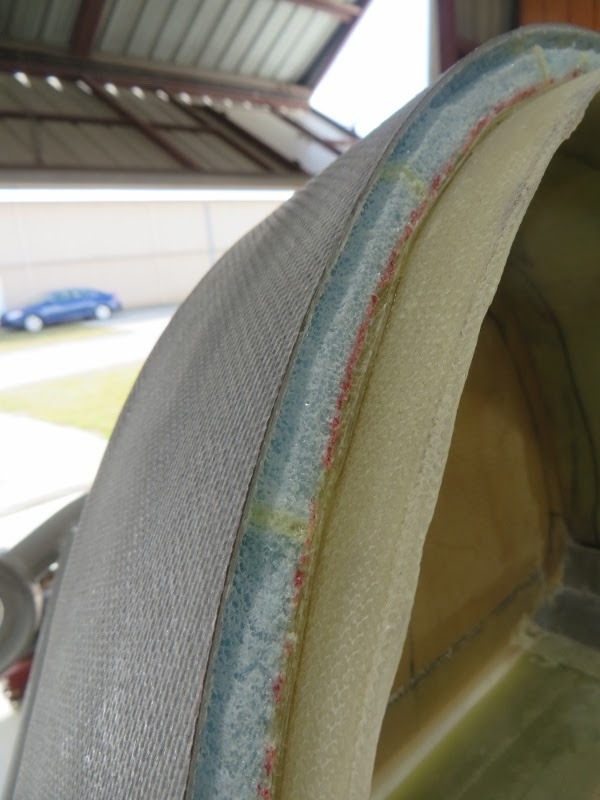 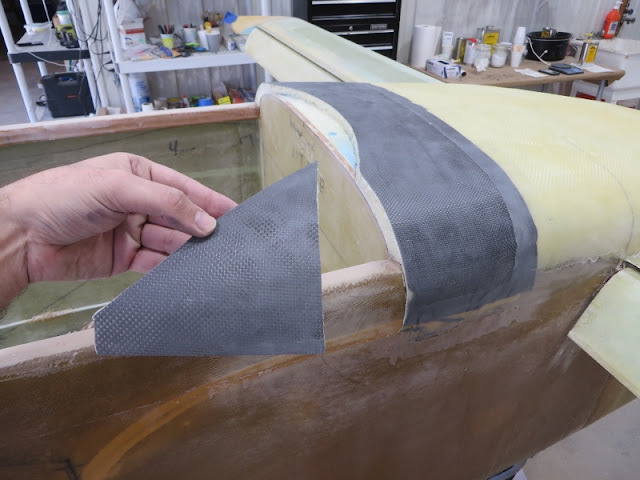 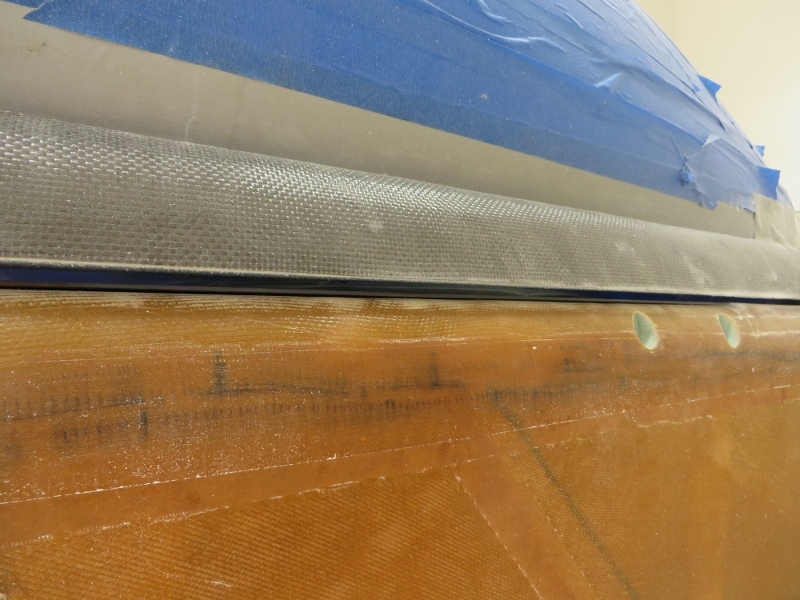 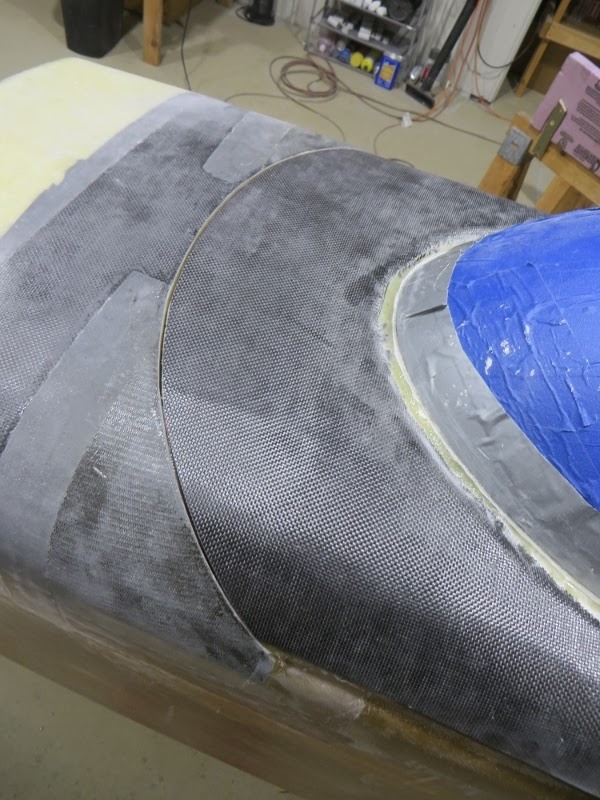 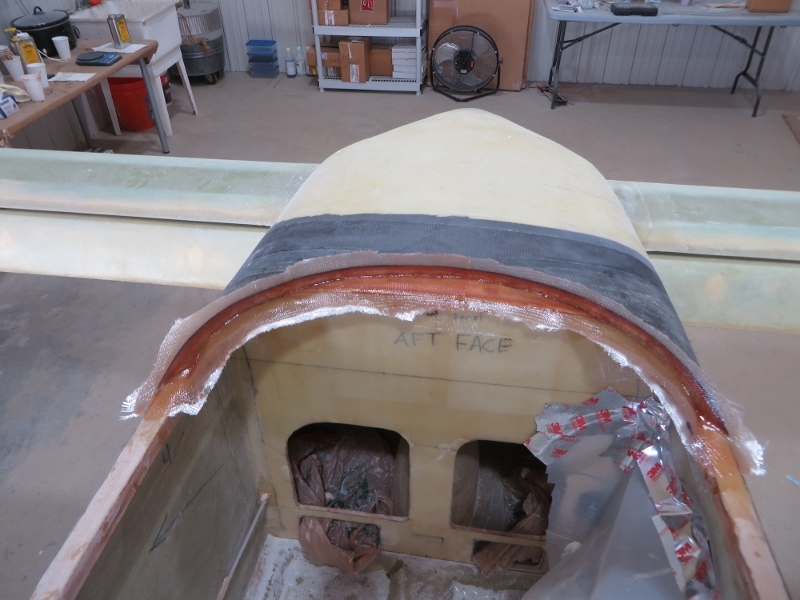 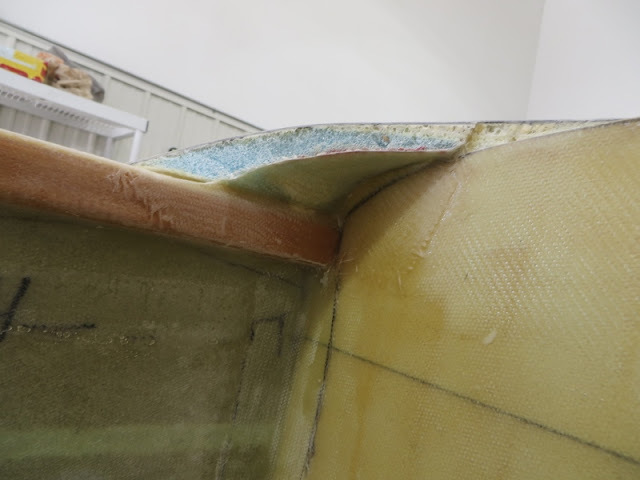 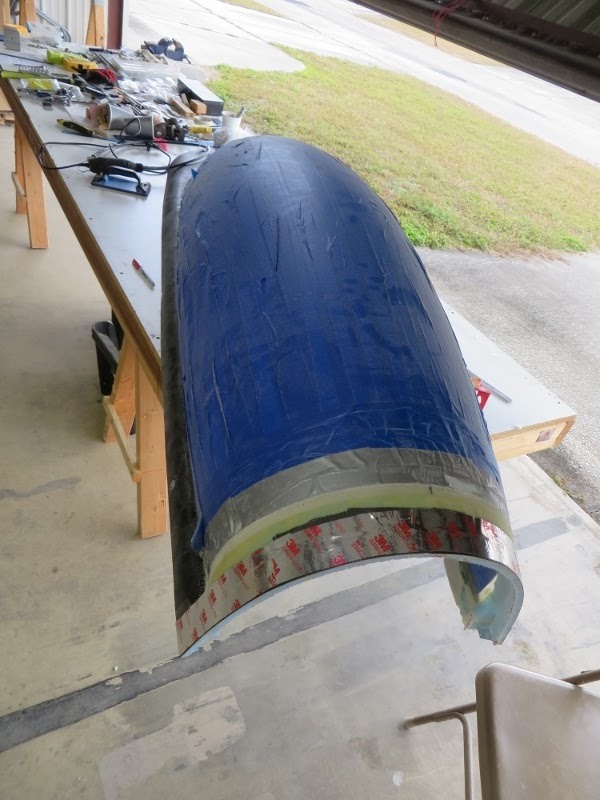 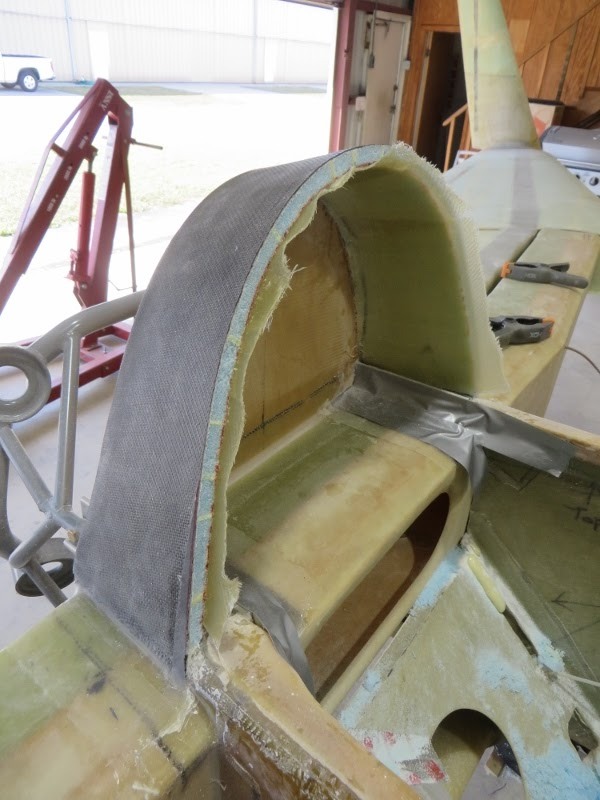 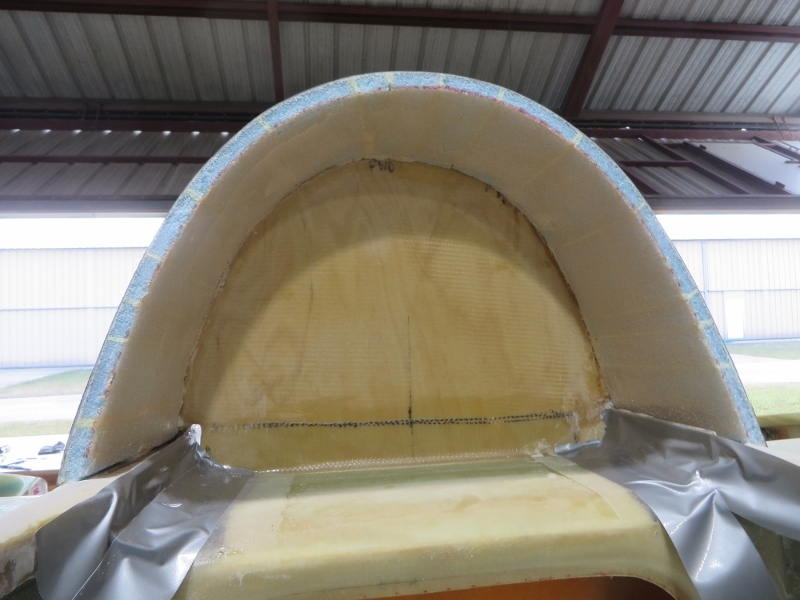 The reason they were removed in the first place was because they had gray release tape under them.. the tape was installed under on purpose before doing the canopy outside layup in order to prevent any overhang from bonding to the fuselage. 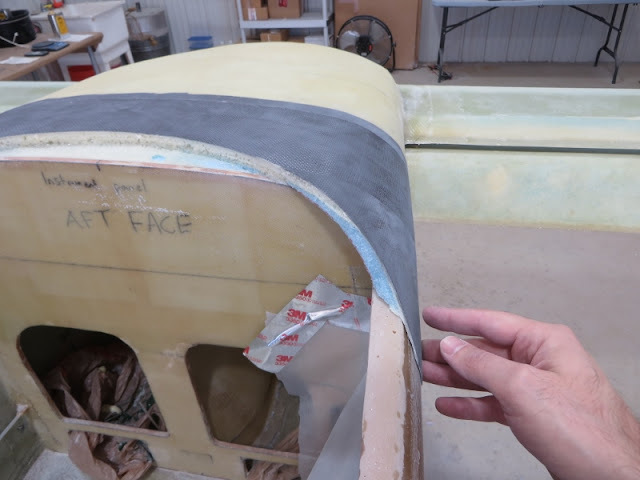 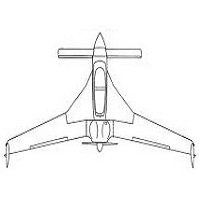 At that time, I didn't know where the canopy front lip cutline was going to be, so I simply extended the gray tape all the way up to the instrument panel. 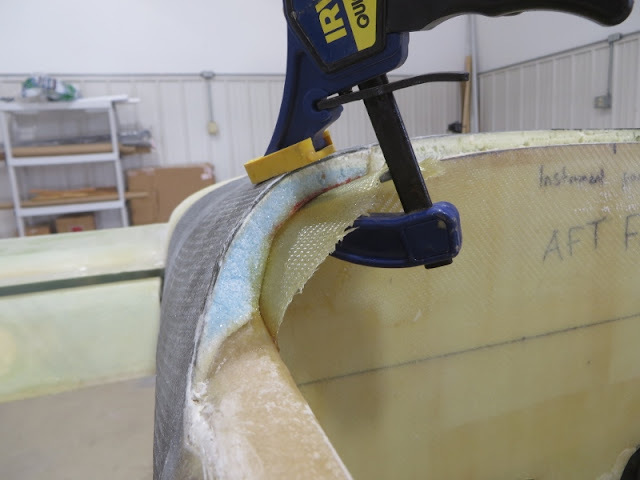 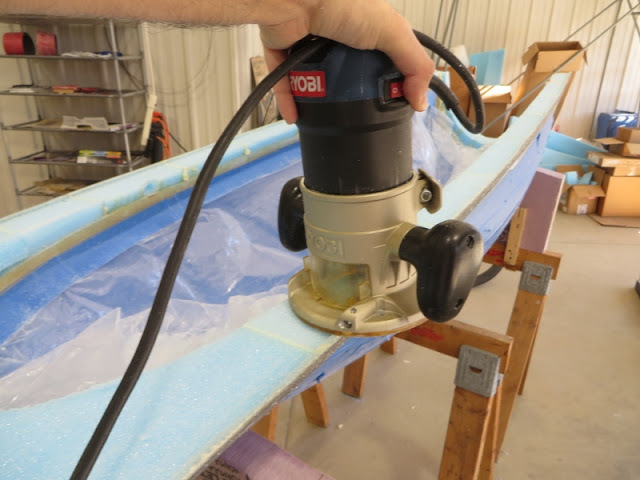 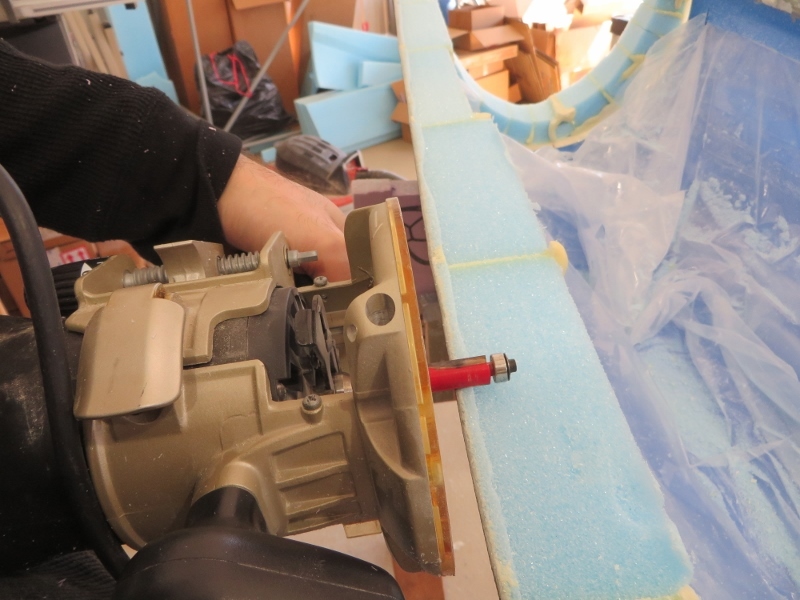 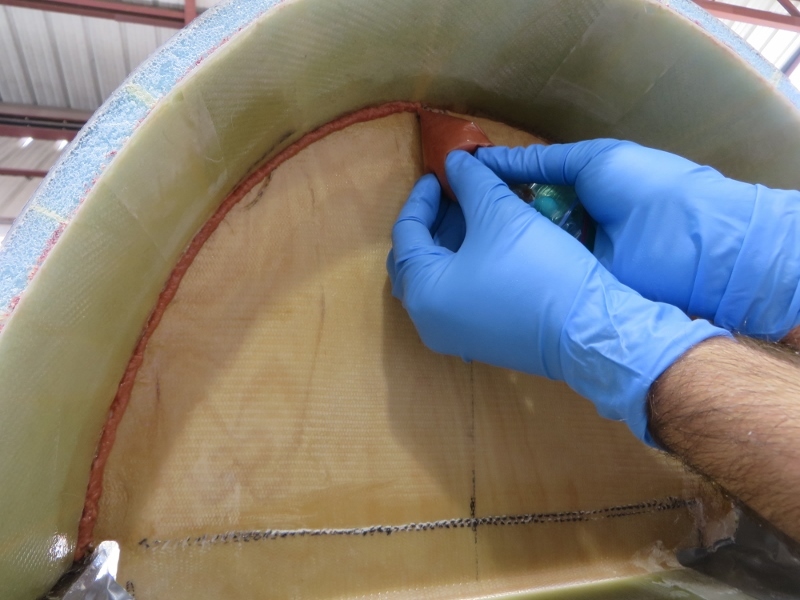 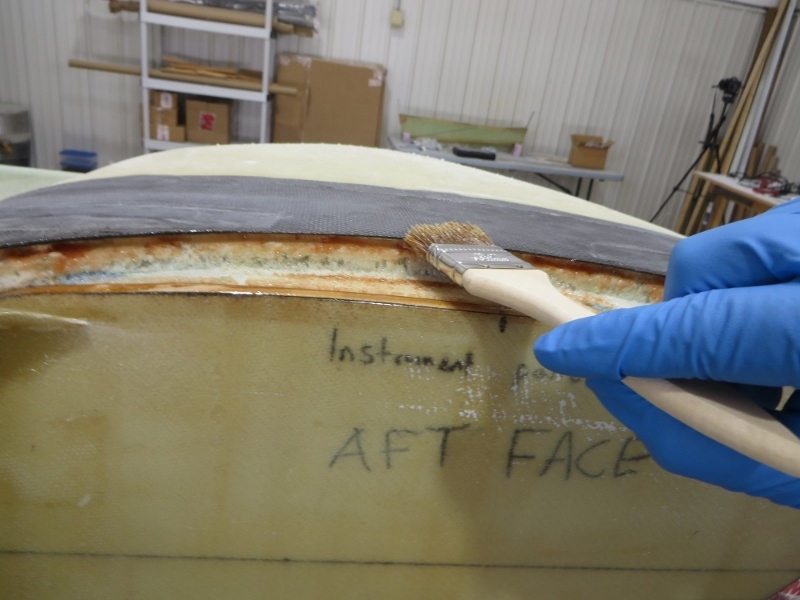 And then repeated for the other side..
After this layup cured, I trimmed it up and prepped it for a top layup that would connect it with the rest of the instrument panel lip.. 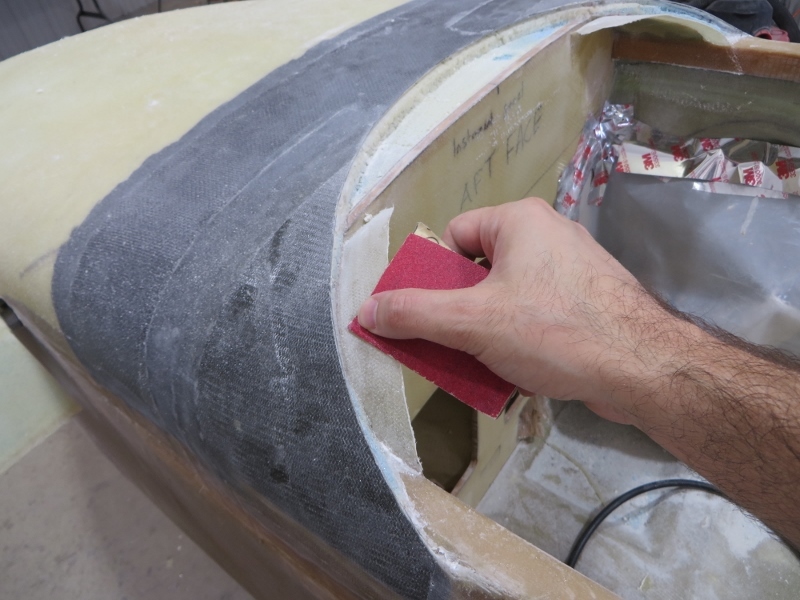 I also prepped a flox corner on the forward face of the top instrument panel..
Vacuumed and cleaned up... ready for epoxy! 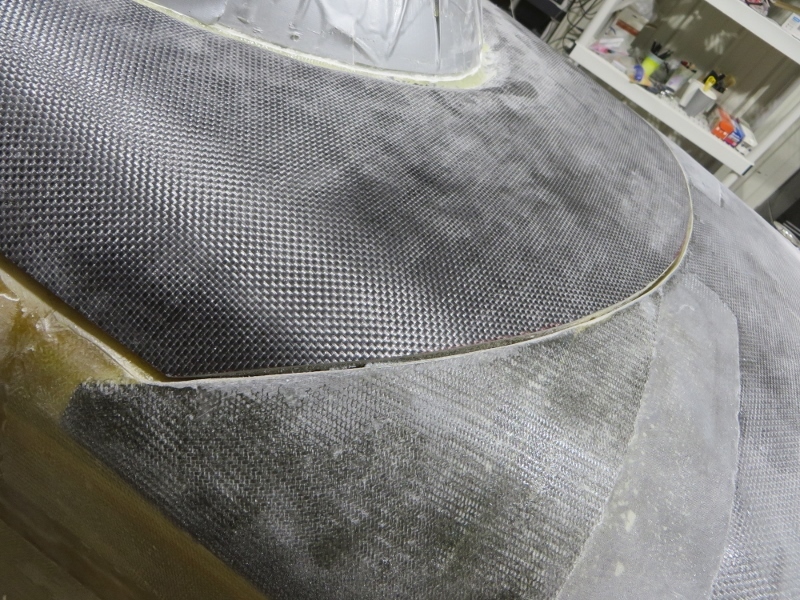 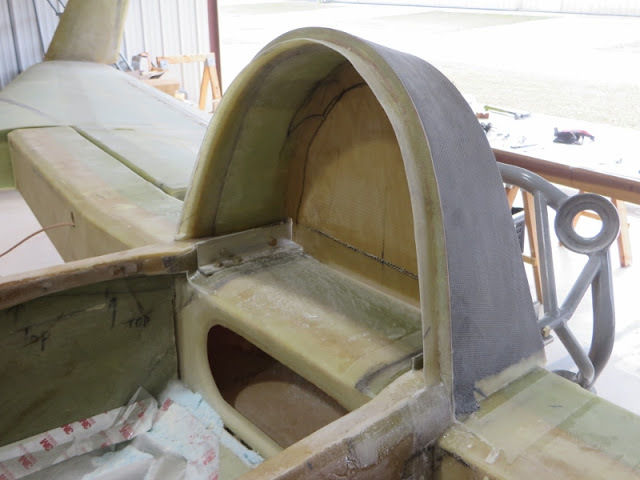 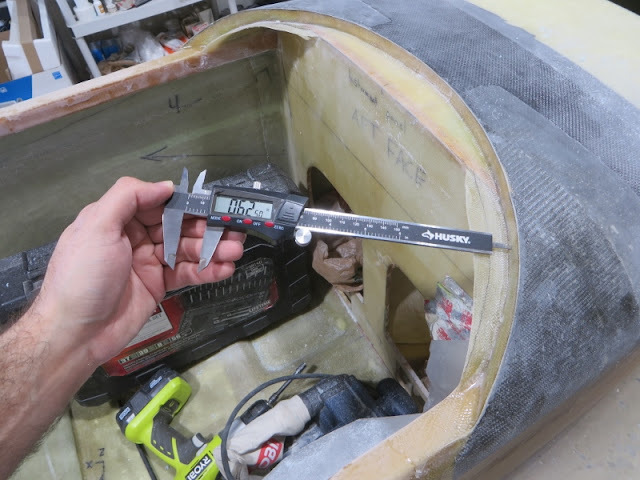 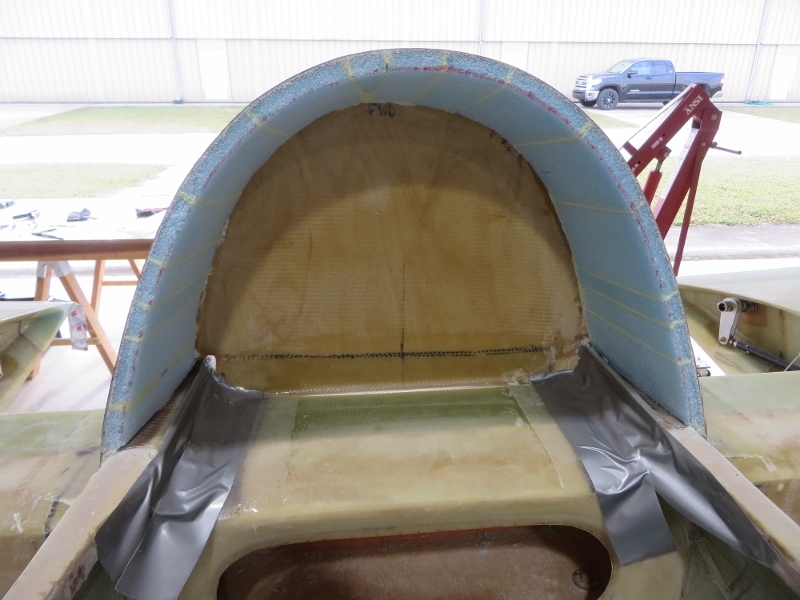 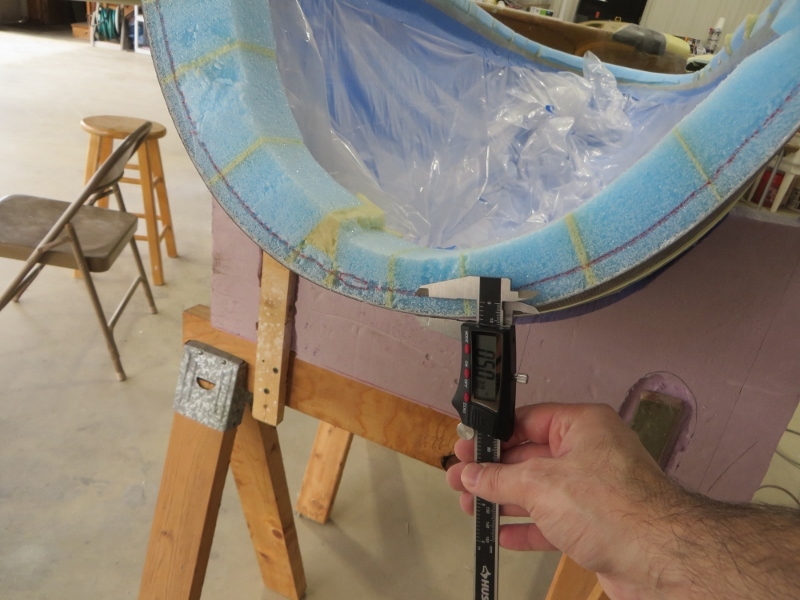 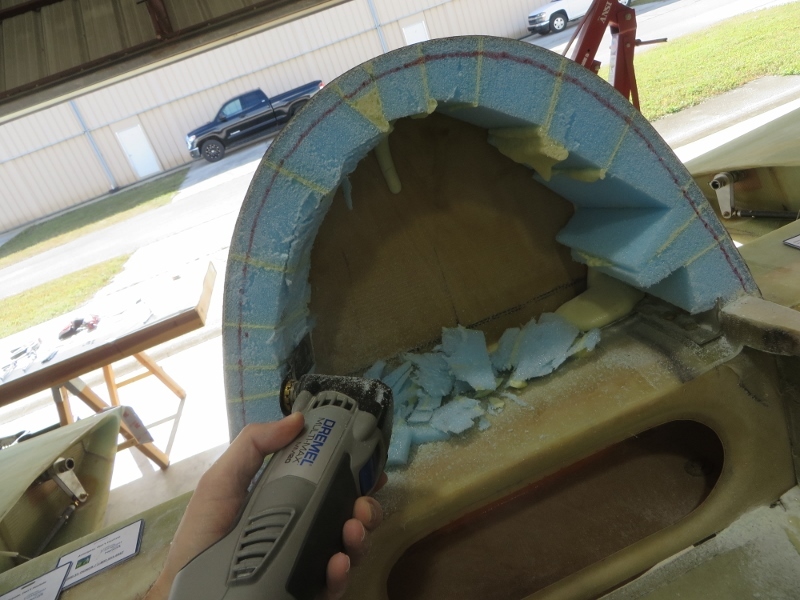 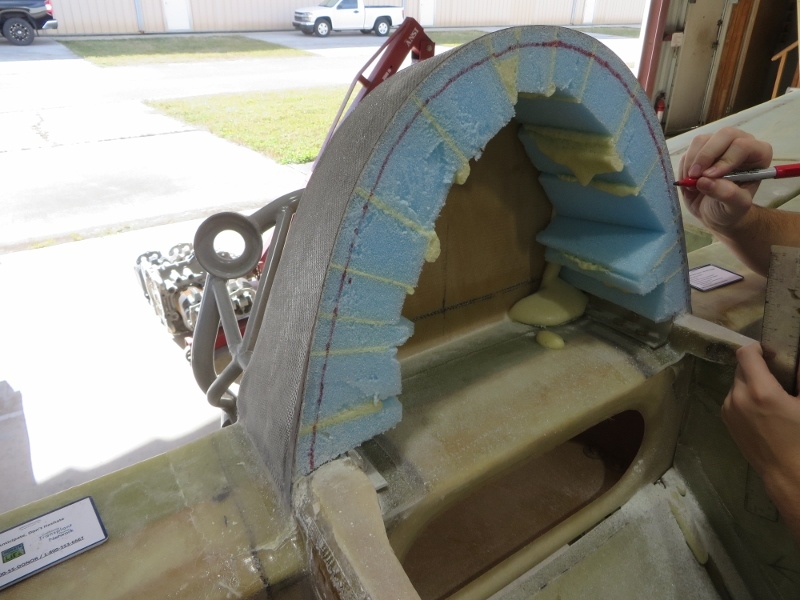 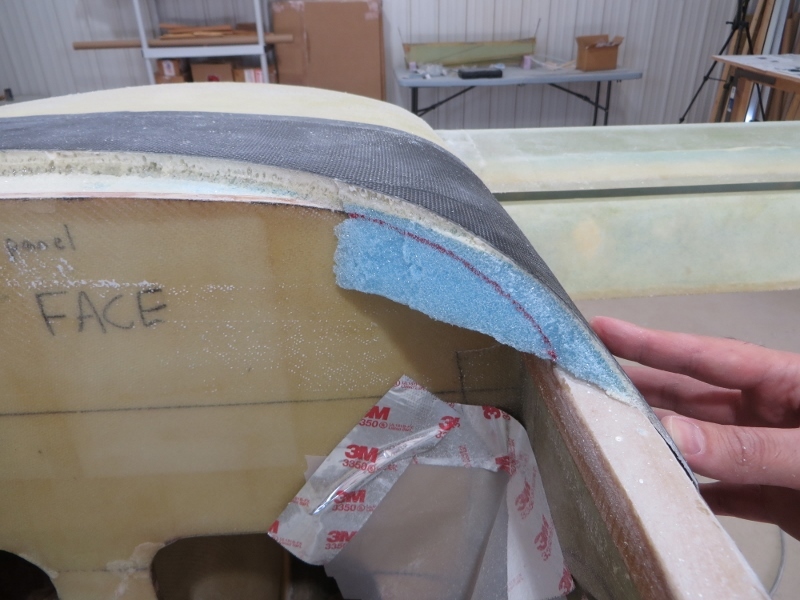 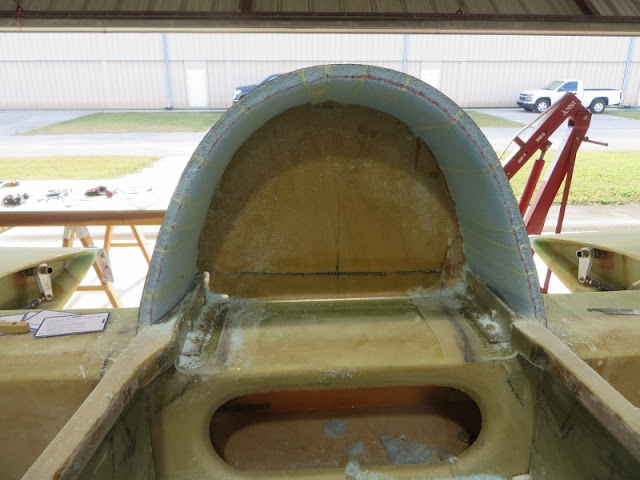 Just like the inside layup of the front corners (by the instrument panel), the nook lip also did not want to cooperate. So again, I had to let this layup cure as is, and worry about adding the rain lip later. I also made a flox corner all around the arch..
That's a nice looking rain lip!! 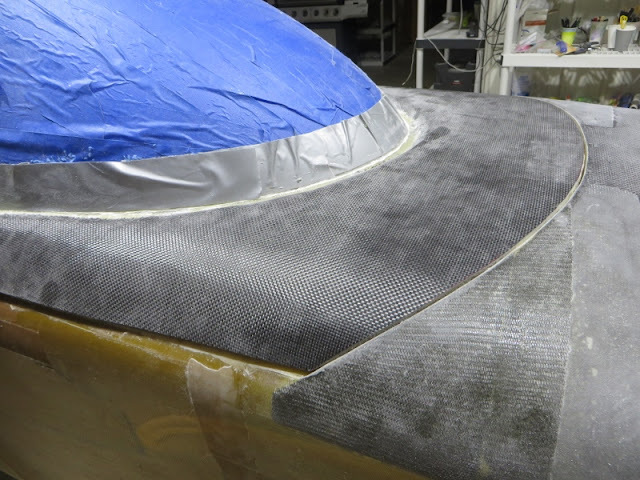 It's 0.5" deep..
Leaving a 0.1" gap between the aft edge and the tape..
SUPER happy with the rain lips and overall fit of the canopy!! 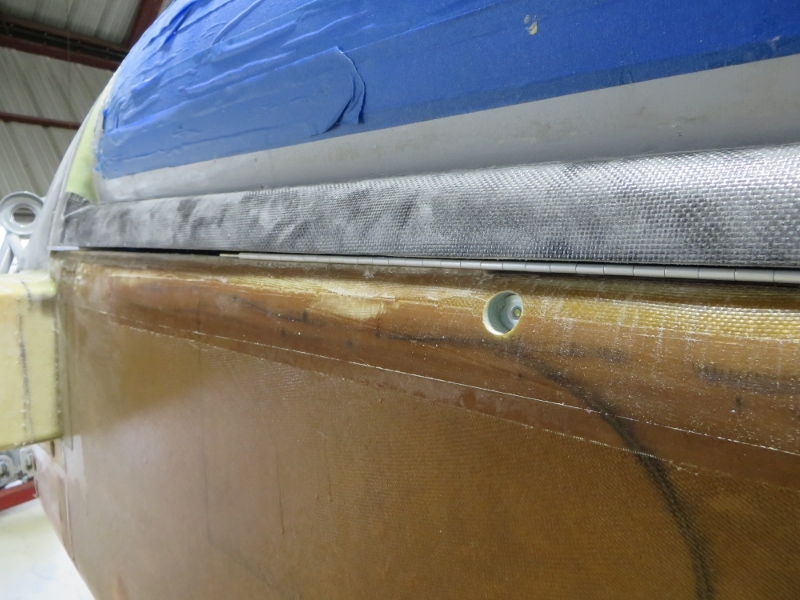 Now we are ready for hinge and latch hard-point layup work!